Just about two years ago, I wrote my first blog. It has been an amazing period of my life getting to know so many people who are out and about in the Nebraska craft beer community. The fact that each time I go somewhere, I get to meet new people and sometimes even help to build connections! 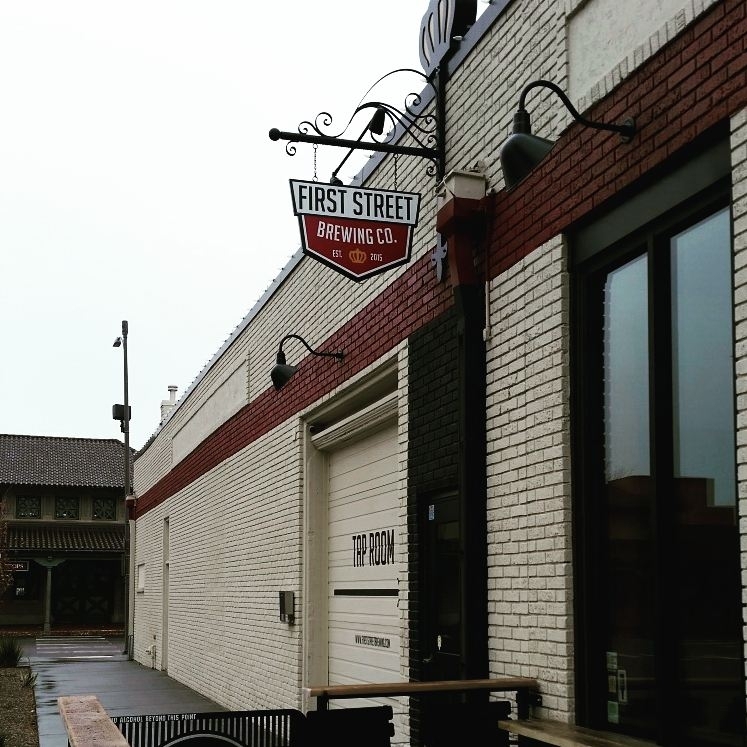 I have known Nathan and his wife Jessi, who own First Street Brewing Company for a little over a year now. I always have a great time visiting with them whether in their taproom or at events. During a conservation with Nathan, I learned about his love of coffee and his espresso machine. Myself being a coffee guy also, I get excited learning about what types of coffee people like and how they like to drink it. In the fall of 2018, some friends gave me a sample of a Bourbon barrel aged coffee they had. I fell in love with the coffee and had to find out more about it. My friends gave me Carole’s contact information and we met. I told her that I was a craft beer blogger and was starting to do a few coffee reviews. We had a great conversation! Bourbon flavor coffee and aroma without raising the ABV of the beer, now that is pretty intriguing! I had to give it a try. I took some of the brewed coffee and put into a milk stout I had just to see if any flavor would come through. Yes, I know that is not how you would brew a beer with coffee. I just needed to confirm my suspicion. I was right! The beer had a wonderful flavor after adding the Clout Coffee! Before too long, I had to ask Carole if she had talked to anyone about having them use Clout Coffee in a beer? At the time, the answer was no. So, I said wouldn’t it be fun to change that! I talked with Nathan also to see if there might be some interest. After introducing Nathan and Carole over a social media chat, they connected. The result of this to me is awesome! I love to see local products come together. Whether it is using local hops, honey, coffee, or whatever it is fun to see connections built and the results of them. The Popular Blonde with Clout Coffee was a hit during the release on Saturday, February 16 in Hastings, Nebraska! There were many people enjoying this great blonde ale. I got a chance to talk to many of the people that were from Hastings, Lincoln, Hickman, Omaha, Kansas City, and others. Craft beer in Nebraska is not only connecting the people of our state together but it is helping all kinds of new businesses start and grow. Let’s Raise Glasses and Not Taxes and enjoy building connections. Remember when you were a kid and loved to play with Legos? The hours of letting your imagination run wild as you created all sorts of interesting things. The satisfaction of being able to create something that was uniquely yours was really fun! As an adult, I find myself always looking for ways to be able to be creative. I would say after meeting Matt Misfeldt, I think he is very much the same. Matt and his wife Jennifer Obal-Misfeldt own Patriot Homebrew Supply in Elkhorn, Nebraska. I recently met the couple at a few craft beer events around Omaha. I really enjoyed talking with Matt about craft beer and the history of the breweries around Omaha, so I asked him if he would be willing to share more about the homebrewing business. I was filled with so many questions and was excited to sit down with Matt. Matt began to discuss how the home brewing clubs were a great place to meet other brewers. Groups like the South Omaha Brewers (SOB) club, the Local 402 Brewers, the German America Society - Brewers Klub, and others were buzzing with excitement. The clubs were a social gathering place where people could bond over talking about brewing beer and enjoying a pint! This was a great venue for getting ideas on new beers and asking questions when something might not go as expected with one you brewed. Another big part of homebrewing in the 2000’s and early 2010’s were the festivals and competitions. Homebrewers could bring out their beers and let others get to experience them. This was a great way to get feedback! Matt explained that he really was into creating malty beers. We chatted about characteristics of the malt that makes this beer so deep and flavorful without being too high on the ABV scale. I could see Matt’s eyes light up when he described the beer. I now understand just how exciting it is to create a great beer! Matt competed in the American Homebrewers Association (AHA) in Minneapolis in 2012 where he received a second place ribbon for the Southern English Brown. Pretty cool accomplishment! So, the question in my mind was how do go from homebrewer to homebrew supply owner? I know my curiosity grows more and more when I really get into something that I am passionate about. Knowledge of an industry really makes a difference. I asked Matt where he would get his ingredients from when he was homebrewing. Matt told me that Northern Brewer was one of the first places he got ingredients. They had a good variety but with it not being local, it was sometimes hard getting questions answered. One of the other places was Kirk’s Brew in Lincoln, Nebraska. One of the issues was many of the homebrewing supply stories only sold ingredients like malt by the pound. For most homebrewers wanting to make lot’s of different kinds of beer, a pound minimum limit for ingredients makes it expensive and can leave you with extra ingredients you may or may not use. When Matt got back to Omaha, he started to plan the opening a homebrew supply store. One of the things that would make finding a location challenging was the fact you couldn’t open a homebrew supply store within a 10-mile radius of another store. Fermenter’s Supply is located around 84th and L Street which is a very central location in Omaha. So, the task at hand would be even more difficult. Look at all the styles of beers you can brew! After searching for a location for a good amount of time, Matt found the right place in Elkhorn. Elkhorn was a growing community at the time just west of Omaha. The best part was that the strip mall he found had a space that was perfect. There was already a kitchen that could be turned into the brewing area. There was also a nice area for teaching classes. This was very important for Matt because that was one of the main things, he wanted to be able to do. So, in the fall of 2013, Patriot Homebrew Supply opened! Within 2 years, they would expand by adding another bay. Business was going well! The homebrew clubs enjoyed that fact that Patriot Homebrew Supply had fresh ingredients by the ounce, would help customize recipes, and was a social place to hang out with others interested in homebrewing. The dynamics began to change around 2015 and 2016. There were more local craft beer breweries opening. An existing law in Nebraska began to be enforced where homebrewers could no longer have their beer at festivals. Add to the fact, that internet homebrew supply stores were popping up all over the place. A trifecta of bad news if you are a local homebrew supply store. Could the best days of Patriot Homebrew Supply be behind them? Although changes were taking place, there were still many homebrewers that wanted and needed a local supply store. Ingredients that even the breweries would need a split-second notice, Matt was able to provide. Several of the homebrewers were now starting their own breweries. For example, Jim Stutzman of Lazy Horse Brewing bought his first brewing system from Patriot Homebrew Supply. The growth of the craft beer breweries started a whole new social engagement where people had many options of trying different craft beers. For the homebrewers, this social engagement at Patriot started to fade. Patriot was still the go to place for getting everything they needed, but not as much of a place to hang out anymore. For a business to evolve when things change, you have to be involved in the community. I remember reaching out to Patriot a couple of years ago to see if they would be willing to donate items for an auction to raise money for the food bank. Not only did they donate, but they provided a wealth of information to share with others about the classes and many other events they had going on. When I am at events where Patriot is at, I have been able to meet several homebrewers that you can tell value Matt’s expertise and desire to help with their homebrewing. Relationships like this are key. People really appreciate great service and having someone that understands their needs! Matt invests his time in the industry with taking courses such as the Cicerone Certified Beer Server and Brewers Association Beer 101 courses. Matt also goes the extra mile learning each beer style in detail and recently become a certified craft beer judge. What a resource to have when you have questions about brewing! The history of craft beer is very intriguing to me. So when Matt told me about a recent beer he brewed, I was all ears! Matt began to explain how Porters originated in England. In the 1880s prior to Irish Dry Stouts coming out, there was a style known as the Single Stout Porter. The Single Stout Porter is made up of three different kinds of British malts - a pale, amber, and black patent malt. Black malt is not your common roasted chocolate malt. You need to visit Matt because he explains it very well! What the black malt provides is a deep, dry roasted characteristic that is incredible on the palate. The Single Stout Porter uses East Kent Goldings (EKG) hops and an Irish Ale Yeast. It is all of these ingredients and the close attention to detail in the brewing process that make this such a great beer! You don’t have a to be a homebrewer to get to experience what it takes to make a craft beer. Patriot has classes to get you the introductory understanding you need to start brewing. You can then take that knowledge and brew right there! Patriot has a Brew on Premise offering for you to get to go through all of the steps from mash, boil, ferment, and packaging. I know I am interested in the classes and seminars the Patriot provides. I really enjoy learning about the process and ingredients. I think anyone who enjoys craft beer can get a better appreciation knowing what goes into brewing the beers! Whether you are a serious homebrewer or just someone who is interested in gaining knowledge of the brewing process, Patriot Homebrew Supply can help you with all of it! I know I am looking forward to spending more time there this year. Between the classes and seminars, I am hoping to continue learning more about all of the wonderful beer styles. You never know maybe I will even try brewing a beer someday. A nice collection of Bell’s Brewery imperial beers. Twas the fourth night after Christmas and all through the bar, was the anticipation from the patrons of beers from afar. The sleigh put away and the reindeer in the stable, so how would these special beers soon appear on the table? The sound of bells chiming now filled the air, as I began to ponder but didn’t want to stare. A jolly, young man with a Bell’s Brewery hat a top and a bag full of goodies that didn’t stop. Then from the bag what should appear? A collection of Bell’s imperial beers! Bell’s Bear Hug Stout with my Christmas sweater in the background. Does it look like the nut crackers aren’t getting along? At the end of December for the last three years, Bell’s Brewery has made it to Omaha, Nebraska bringing some incredible beers! I am a big fan of their stouts, especially the Expedition Stout. The other thing that was a so much fun was getting to chat with the Bell’s sales rep about how long you can keep a stout before it goes past its peak. I was very intrigued by this since it was my first year of having a stout that I had stored for a year. His general rule is that you have a prime window from 2 to 3 years. Some beers can make it up to 5 years before going downhill. One of the key things to watch out for that a beer is going bad is signs of cardboard or stale like tastes. This is the result of oxygen making its way into the beer over time. The crimped beer caps are much better than the screw caps use to be. Bottles that have a wooden cork in them can also help extend a beer’s life. For me, I think I will follow the 2 to 3-year rule just to be on the safe side! Saturn is a Bourbon barrel aged Barley Wine that was released in April of 2015 as part of the Planet Series. There are a lot of flavors going on with this beer and for me it was the caramel and vanilla notes that stood out! Black Note Stout 2016 is a combination of the Expedition Stout and the Double Cream Stout that has been aged in bourbon barrels. The 2016 version is very rich and malty with the oak and bourbon flavors throughout. Black Note Stout 2017 was my favorite of the night! I had the 2016 first, so when I tried the 2017, there was even more character with dark fruit and raisin flavors. Definitely one of the best imperial stouts I have ever had! Cherry Stout is a nice tart cherry barrel aged stout. If you like tart cherries, chocolate, and bourbon flavor, then this is the beer for you. 30th Anniversary Ale from 2015 is an imperial stout that was roasty with a little bit of sweetness to it. This is one that I would have to spend more time with to get all of the flavors out of it. On my beercation list is Michigan and Bell’s is at the top of the list. When it comes to classics, what are the first things that pop into your head? Is it a '57 Chevy, a book like "The Adventures of Huckleberry Finn", a movie - "The GodFather" or something else? There is always a special thing that makes a classic stand out like its style and eloquence. Scriptown Brewing Company from the day they open their doors in December of 2014 was destined to be a classic. From the taproom that takes you back as if you were in the 1920's to the traditional craft beers that are brewed with excellence, this is the experience you will have every time in this Blackstone District brewery in Omaha, Nebraska. John Fahrer, a homebrewer with over 30 years of experience knew where his passion was in life but had to wait for the right time to pursue having his own brewery. Let's see how it all came together! John grew up in South Omaha where he enjoyed all of the great cultural diversity of the area. My mother and grandparents also were from South Omaha, so we chatted about some of the familiar Czech and Bohemian dishes like kolaches. I can almost taste them now! We talked about how our mothers and grandmothers could make some of the best, traditional dishes that are so hard to find now. I think you can definitely see this influence in the beers that John brews. More on that a little bit later. John spent many years as a hardworking, family man raising 3 children with his wife Debbie. During those years, John enjoyed his hobby of homebrewing. He explained that it was as much fun researching about brewing as it was to brew in the early days back in the 1980's. Back then, the only source of information was books. Finding a good book and applying everything you could learn from it before moving onto another was key. The other difficult part about being a homebrewer was finding decent ingredients. Locally, there were a couple of brewing supply stores where you could get what you needed but nothing like what is available today. Some of John’s trophies from competitions. Photo provide by John Fahrer. John told me about some of the styles of beers he started with which included British Bitters, German Lagers, and others. One that he remembers well was a British Pale Ale he brewed in 1989. The ingredients were getting better and there was more information about brewing that kept John's passion growing year by year. In the 1990's, John's recipes continued to evolve and by 1994, it was time to see what others thought of them. John entered the Homebrewer Competition at the state fair that year. Anxious to see what others that of his beer, one of the comments from the judges really stood out. That comment was, "Commercial quality." This was exciting to see and fueled the fire for more entries into other competitions. In 1995, John received a silver medal for his Fall Fest beer. Then in 1996, John won the NHC in New Orleans. His Muddy Mo Amber Ale was named Best of Show out of 3,300 entries that year. John earned the title of Homebrewer of the Year! In 1997 while John was in Denver, he met John Hickenlooper. Mr. Hickenlooper co-founded Wynkoop Brewing Company in 1988. He also has been a mayor of Denver and governor of Colorado. John was very curious to get any kind of information from Mr. Hickenlooper on what it takes to start a brewery. In the 1990's, there was boom for craft beer breweries in a Colorado. For those in it for a quick buck, they soon found themselves out of business before 2000. For John, this conversation helped him decide that it was too risky especially when raising a family to start a brewery at this time. The 2000's were a decade of homebrewing competitions both as a competitor and a judge. John's desire to open a brewery continued to grow. It was in 2011 when John would meet Scott Stephens. Scott had been living in Portland, Oregon where craft beer became an interest. When coming back to Omaha, Scott felt there was an opportunity and he loved what John was brewing. The two began to think about the business plan. At first, the plan was leaning towards more of a distribution model with less emphasis on the taproom. The research began for potential sites around Omaha. In the meantime, Scott owned a restaurant in Benson call Lot 2. John began brewing small batches of beer for the restaurant and they were a hit! The Piggly Wiggly grocery store has a lot of history at 3922 Farnam St. Timing is very important and so is location. Scott had found out that Farnam street was changing in the 35th to 40th street area. Farnam would no longer be a one-way street. Doesn't seem like a big deal, but in reality it was a driving force for the revitalization of the area known as the Blackstone District. GreenSlate was the company working on the development plan for the area. They showed John and Scott a couple of properties and the former Piggly Wiggly at 3922 Farnam was the one! The space was perfect for a nice, large taproom and had enough room for the brewery also. John could produce his traditional craft beers and build a brand before diving directly into distributing his beer. Now all that was needed was a name. Always a great selection of traditional craft beers on tap. One of the hardest parts about creating a business is coming up with the name. John said they had an idea about Lone Tree because it was the Lone Tree Ferry Company that had founded Omaha. The name didn't pan out because it had already been taken from a brewery in Colorado. The name needed to reflect something historically about Omaha. John said they started thinking about the first subdivision which was named Scriptown. Scriptown was the area roughly around 30th from Cuming to Fort Street. The name reflected that fact that scrip was used as a way to make payments. Scriptown was a great choice to relate to Omaha’s historical past! Next to name, logos are really important so that people can relate to your brand. The special font for Scriptown is perfect for reflecting who they are. I love the classly, old-world style. This truly adds to the vibe of the taproom and the experience when having a Scriptown beer! I remember in February of 2015, I was on a bus tour for Omaha Beer Week. The bus pulled up in front of Scriptown. We got off the bus and walked into the taproom. Everyone on the tour were intrigued by the taproom and even more when John told the story of how he got the brewery started. That day I was thinking that area seemed kind of quiet and was wondering how a brewery would survive. John said it was tough the first couple of years. Thinks were tight, but he felt with the area growing that it was only a matter of time for things to take off. Scriptown indeed has played a big role in the growth of the Blackstone District and the craft beer community in Omaha. As you walk around the Blackstone District today, it is a vibrant, fun place that continues to evolve into a place that has something for everyone. Make your way to Scriptown Brewing Company and see for yourself how Scriptown is truly a modern day classic. You will not find a better taproom to experience extraordinary, traditional craft beers! For more information check out Scriptown Brewing Company on Facebook or their website. Almost everyone has a little bit of collector in them. My wife may say it is an obsession but I say it is a goal to be able to wear a different beer shirt each day of the month. Yes I know that seems maybe too easy and I should be thinking bigger like a year. The fun part about shirts is that they won't collect dust on a shelf like some other collections! When it comes to shirts for all occasions, one of my favorites is show support for local breweries in my state. Each time I put one of these on, it reminds me to not take for granted the local breweries that have worked so hard to get up and running. Just 10 years ago, there wasn't the abundance of craft beer breweries that we have today in Nebraska. Supporting local helps expand the craft beer community which is a good thing! The other fun thing is getting to wear the shirts in other states. I have a picture of my Lazy Horse Brewing shirt while I was on top of the Space Needle in Seattle, Washington. The cool part is that I had people that were there from Nebraska come up and ask me about my shirt. You know me, if you get me started talking about Nebraska craft beer, you might be there for awhile! Any good beer shirt wardrobe has to have at least a couple fun, quirky shirts for the days that you need a good laugh. I guess you never knew I had a superpower - well it is true that I can make beer disappear! Beer fests shirts help remind you of those events that were a blast getting to try craft beer and talking with friends. I usually struggle finding a good shirt for St. Patrick's day, but this last year it wasn't a problem because Pint Nine Brewing had the green for me! Is it just me or does an Irish Stout taste better when wearing your finest green. There are the vacation shirts that you just can't pass up. Last fall I was in Seattle and Portland as part of a trip to see the Huskers play football against Oregon. The game was definitely a bust but the trip yielded me a shirt that reminded me of Memorial Stadium and the famous Bone Yard! I spent an afternoon in Seattle getting to go to a few breweries. The Pike Brewing Company was my favorite! Great beer and an awesome atmosphere. It is fun a year later to see pictures of the taproom and restaurant on social media. There are time, although rare, when a t-shirt might not be appropriate. For those times, I enjoy either wearing a brewer's or polo shirt. The brewer shirts are comfortable and look good especially at brewery events. If you have to go business casual, the polo is the way to go. The one thing I always get when wearing a polo is the question, "Do you work for that brewery?" My response is always, "I am hoping soon. 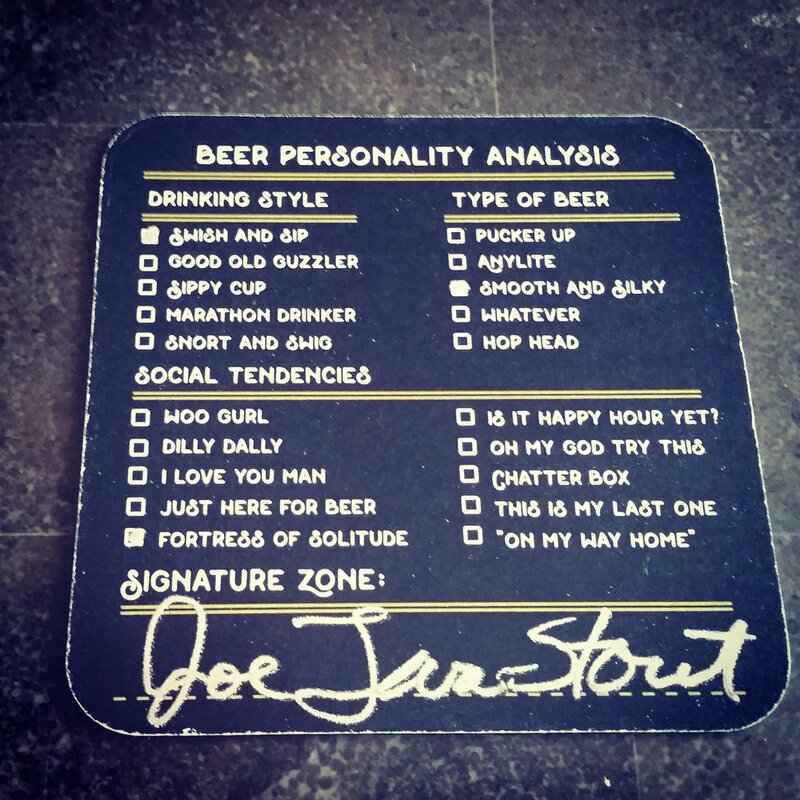 I am definitely the right person to be their official beer taster." Always good for a laugh! When cold weather hits, you will be glad you have your hoodies and other craft beer outerwear to keep you warm. Always in style with whatever you are wearing. Also as an added bonus, you can have one of your other beer shirts on underneath in the event you get too warm. Always good to plan in advance! I am no fashion experts, but I hope I made my case to you today. The time is now - go out and start your craft beer shirt collection. I guarantee you will have fun doing it! Many people think of Nebraska as just a long stretch of flat land in the heart of the country. If you never get off of Interstate 80 then you might be right. The state however is very diversified in terms of the landscape. One of my favorite destinations is the Sandhills. This great area of rolling hills resides in North Central Nebraska. The Sandhills were thought to be a desert until the late 1870's when ranchers discovered that the land would be great for raising cattle. It took awhile for farming to spread throughout parts of the region. Irrigation would be needed to help supply water that mother nature doesn't provide a lot of for the area. The Ogallala Aquifer has been critical for providing water to the area and also as you will learn a blessing for brewing beer. For more about this area check out Visit Nebraska. So I want to let you in on a little secret besides the scenic views in the Sandhills there are some really amazing breweries. I would like to show you how you can take a short two day trip and get to at least 4 breweries. I guarantee you some of the best beer and hospitality in the state! So it was the Fourth of July and I was out the door by 9:00 am. Within 3 hours I would be in Ord, home of Scratchtown Brewing Company. A beautiful downtown location across from the county courthouse. Scratchtown opened in 2013 and you won't find a better group of people dedicated to their community and serving up some amazing beer. From the first time I was in the taproom in 2017, I was completely intrigued with the story behind how the brewery got started. A small group of my friends made the trip to Ord back in 2017 on a Saturday. Mike Klimek, brewmaster and one of the founding partners, took the time to give us a tour of the brewery. I will never forget that day of conversation and how welcoming Mike and Caleb were. Normal Breakfast or breakfast of champions? One thing you know when you come into the taproom at Scratchtown, is that you will always find a great selection of craft beer! I was particularly excited on this visit because there were two coffee beers on tap. Cool Beans is a coffee blonde ale that has nice coffee aroma and flavor in a very sessionable 4.8% ale. Normal Roasting Company out of Burwell provides the coffee for Cool Beans and the Normal Breakfast coffee milk stout. Both of these beers have incredible flavor which is a signature of Scratchtown. Small batches that have the utmost attention to every detail when brewed that puts a smile on all the local patrons and visitors alike. That is what Scratchtown is all about! Before leaving, I needed to see what my options were for taking some beer back to Omaha to share with friends. When I called my wife and told her I had bought an elevator in Ord, she was more than just a little bit worried. Scratchtown calls there crowlers - Silos. When you purchase 3 of them together then you have an Elevator. Great names that tie back to the farming community around Ord and the state of Nebraska. My elevator consisted of Cool Beans, Normal Breakfast, and the Wonder Twins. Wonder Twins is a double IPA that has incredible hop aroma! The Mosiac and Citra hops are a great combination and the immense flavor of this IPA is something you will remember for a long time! Thanks Shay for all of the hospitality! Now onto the next stop which was about 40 minutes away. Bootleg Brewers in Taylor, Nebraska. If you had to think of a place to build a brewery that is the epitome of Sandhills, what better than a ranch. Bootleg Brewers just outside of Taylor, Nebraska is on a ranch owned by Ron and Dodie Worm. Ron has been brewing for about 40 years. What has been a great hobby and way to have fun with friends turned into a brewery in the fall of 2015. As I walked into the taproom on the afternoon of the Fourth of July, Ron and Dodie were sitting at the end of the bar engaged in conversation with some folks. The first thing I noticed was the big smiles on both of their faces. You can tell that the brewery means a lot more to them than just brewing beer, it is a place for them to meet people and enjoy their company. We were greeted promptly by Sonny (or maybe it is spelled Sunny) who has been working at Bootleg Brewers for about a year. You know I don't think there was a time that I didn't see a smile on her face! It must have something to do with beautiful blue skies of the Sandhills. Bootleg Brewers is a great destination for many reasons. You can enjoy some incredible craft beer, delicious food, and spend the night in one of their cabins. I had been looking forward to coming back to visit. Last year was my first time at the brewery for my birthday and I had a great time. Bootleg Brewers has a great line up of sessionable beers. I always enjoy how refreshing they are like the Naked Orange Stinger. This orange ale with a kiss of honey is perfect in the summer time. The Hoppy Homesteader is a great IPA with a nice citrus flavor that will making you very hoppy! The entire lineup of beers are made with ingredients that Ron has choose over time including noble hops and the water from the Ogallala Aquifer. The clean, pure water from the aquifer is a definitive advantage of being in the Sandhills! It was great to get to visit with Ron and Dodie. Ron took us on a tour of his 20 barrel brewing system. A very nice setup indeed! it would be a lot fun to get to brew with Ron. Up until recently, Ron only had beer for the taproom. Now they are starting to slowly distribute their beer in the state of Nebraska. The prior weekend, Ron and Dodie made their way around the Omaha area with some "Meet the Brewer" events at the Local Beer, Patio, and Kitchen bar and restaurants. Ron said they had a great time having people sample their beers and ask questions. Sounds like Dodie kept Ron honest on all of his answers! One thing did surprise Ron at the events and that was how people just sipped the beers. He said he was more use to people throwing back a pint versus slowly drinking from the flight glasses. I think everyone probably was really enjoying having a chance to try the Bootleg Brewer beers! After spending the night in the cabin, I got up the next morning and had a very relaxing walk. Very quiet and peaceful. I think however I startled one cow who did a double take as I walked by. I bet the cow was thinking why is this person out walking on a country road so early in the morning! Before leaving Bootleg Brewers, I had to get a picture with the sign of Ron that is on the road that takes you to the brewery. There are several different signs throughout Taylor and the area. This is one story that I need to find out more about! Had a great time and now it was time to head to Broken Bow to visit Dan at Kinkaider Brewing Co! Is what about 11:00 am on that Thursday, when we pulled into the Kinkaider Brewing parking lot. Walking towards the brewery, I knew right away where Dan would be and that was brewing. I was so thankful to be able to grab a few minutes of his time. Dan has to be one of the busiest brewers around. He told me that they are brewing 5 days a week and many times twice a day! The 10 barrel system will soon be replaced with a 30 barrel one which will help keep up with the demand for the Kinkaider Brewing beers! Dan took us on a tour of the buildings that provide the space for the brewing, packaging, and storing of the beer. Wow what a setup! That morning before 11:00 am, bottling of the 4-County Pale Ale had just completed and there were pallets of beer ready to be shipped. Kinkaider Brewing has an impressive bottling line from American Beer Equipment ABE out of Lincoln. To date, there has been over 634,000 bottles of beer that have been bottled using this system. That is 105,667 6-packs that have made there way across the state of Nebraska! These are just a few from the list. I highly recommend if you get the chance to have some of Dan's barrel aged beers that you do so. Just as an example, the Snow Beast is fantastic! There were many other intriguing beers being aged that you will want to keep a look out for. Besides the taproom in Broken Bow, Kinkaider Brewing also has a taproom and restaurant in downtown Grand Island. Just this past spring I made it to Grand Island and had dinner at the Kinkaider restaurant. Amazing food and atmosphere! This is a place you have to see if you haven't been there. Kinkaider is also adding a taproom in Lincoln in the Haymarket. Dan described what to expect for the decor inside the taproom. I can't wait to see it when it opens! Dan, thanks for the hospitality! I had a great time and now for the final stop of the trip - Lost Way Brewery in Holdrege. Pretty cool flight boards don't you so? Shows that Nebraska has great craft beer across the state. Lost Way Brewery is one of the newest breweries in the state being less than 1 year old. The founding couples - Mark & Jessica Kraus and Jason & Kimberly Hines have made a place where the people of the community can come together and enjoy great beer. On this particular visit, Jessica and Mark greeted my son and I as we made it into Holdrege that late afternoon. It very much feels like meeting with family when you come to visit Lost Way. I think it is part of the small town culture but also how these two couples go about doing business. I was very excited to see what they had been up to since my last visit when they opened last fall. There are so many fascinating things going on at Lost Way. I really enjoyed hearing about some of the charitable events they have been doing. For instance as part of a fundraiser, if the goal was reached, Jason would have to shave off his beard. Well the community had a great time with this one and more than doubled that goal! Jason I have to admit without your beard you look very young! Jessica told us about how she has brewed a couple of batches of beer. I remember seeing Jessica in her pink boots on social media while she was brewing. The beer - "It's Not Ale About You" was done in taking part with raising money for the Pink Boots Society. Lost Way Brewery contributed $1 for each pint of the beer sold and was able to donate $370 for the cause which is huge for small brewery to be able to do! What a great variety of beers including some darker ones, which sometimes are hard to find in the summer time. There is definitely something for everyone. I enjoyed each and everyone of them. The RedLegs IPA was so good. You don't see a lot of red IPAs out there. I remember from the last time being at Lost Way having the Poor Planning IPA. If poor planning is what it takes to keep making this great IPA, then keep it up! I know you will be hearing more from me about the Ye Olde Creamery Milk Stout very soon! Jessica and Mark also told us about a collaboration beer they did with Thunderhead Brewing whose brewery is right down the highway in Axtell. The brew was a wee heavy, Scotch Ale with cacao nibs called Chocolate Thunder. The beer is a wee bit heavy coming in at 9.5% ABV. I can imagine myself sitting in the taproom on a cold, rainy day enjoying this one! Well that's a wrap on my first Nebraska beercation! I highly recommend checking out the Nebraska Brewers Guild site to keep up with all of the breweries. Here is just a sample of other Nebraska Beercation ideas. Omaha and Lincoln have great afternoon/evening combinations to travel a small distance to enjoy 3 to 5 breweries. Let me know if have questions about Nebraska breweries or tourism. I will get you pointed in the right direction. Imagine yourself after a long, hard ride back in the wild west days. You are in desperate need of a good beer. 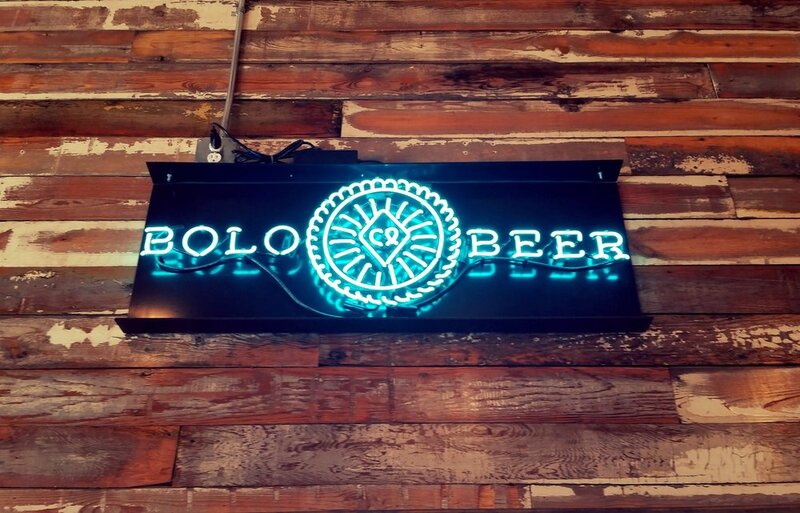 Then out of nowhere appears this sign - Bolo Beer Co. You tie up your horse and make your way up to the bar. "Bartender, something cold and refreshing", you bellow out. From behind the bar, the barkeeper brings you an Aquifer Ale. Your response, "That is a mighty fine beer, don't stray to far. I might need another..." Then to your right is none other than Americus and the Liberator two of the finest IPAs west of the Mississippi. You now know that the ride to Valentine, Nebraska was well worth it! Fast forward to today where Valentine is known as a resort town with canoeing and tubing on the beautiful Niobrara river. Hiking and biking along the Cowboy Trail and taking in other scenic places like Smith Falls. Rolling sand hills covered with pine trees along the river is an amazing site even for a native Nebraskan. Two brothers grew up believing in their town and wanting to make a place where people could come and enjoy each others company. Kyle and Kurt Arganbright felt that there was something missing in their community. Craft beer choices were very limited around the restaurants, stores, and bars in town. There was a need for something local, something people could enjoy in their town. So in 2014, the decision was made to open a brewery but one thing was missing - a brewmaster. Kyle told me that he placed an advertisement on the internet describing the opportunity. It wasn't too long before Chris Hernstrom from Bend, Oregon responded to the ad. Kyle ended up meeting Chris in Denver for the Great American Beer Fest. Chris was very intrigued for the opportunity to continue to grow his brewing skills so he left Boneyard Beer and packed his bags for Valentine. Did I mention Chris did this without ever going to check out Valentine! What an incredible selection of beers! If you were to think about an opening day what better day than Valentine's Day! 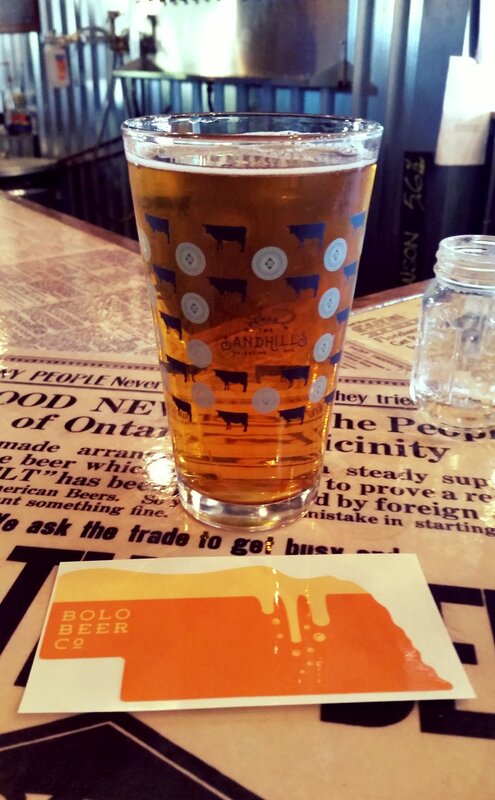 In 2016, Bolo Beer Co opened its doors in a location very close to the current one. The original space was great to get started with but it didn't take long to outgrow it. Kyle said they found the current building which was an old diesel shop. The building had plenty of space for the brewing equipment and a nice taproom area. Also the property had plenty of room for a great patio! There were a lot hours of hard work that went into the renovation of the building. Kyle said the main focus was to emphasize the local area and to find items that could be repurposed to put into the brewery. There are so many items that you have to see it for yourself to get a great appreciation from the old barn wood and lights to the newspapers that cover the bar top. Canoes hanging from the ceiling and a 70+ year old popcorn machine from a local establishment that still works! I had to ask Kyle what sets Bolo Beer Co apart from other craft beers. Kyle responded, "Our goal is to have well balanced, drinkable beers. It all starts with the water. Having the Ogallala Aquifer water helps tremendously." As we continued to discuss this, Kyle went on to say that the other key is having a brewer who is knowledgeable and creative. Being able to experiment with small batches and see how the community responds to the beer is critical in coming up with new brews. As a consumer, I have to say I personally like this model. Variety for me is key. Yes every brewery needs their core beers but there is always the intrigue of wondering what will the new beer will be when you walk into the brewery. Besides the beer itself, Kyle described wanting a place for the community to be able to come together. The brewery was designed to be family and dog friendly. When I walked into the brewery that night, there was a lot of great conversations going on. Immediately you could tell that this was a place where people come to hang out and enjoy each others company. As I sat at the bar, I met a couple that had travelled from California to ride bikes from Norfolk to Valentine on the Cowboy Trail. They talked about their search for small breweries across the country and said Bolo Beer Co was a fun part of their trip to Nebraska. People having a good time is what it is all about. Kyle said they have open mic nights for area bands to come in and play music. This has been quite the hit at the brewery. One night, three bands came to the brewery and everyone enjoyed the show! This is really cool to see local items being used in the beers that they produce. Kyle also went on to say they enjoy working with local charities and supporting them. As you can see the heart hanging from the ceiling in the brewery really shows the love Bolo Beer Co has for their community! Always a bunch of good stories when you visit a brewery. This one is definitely a favorite of mine! Americus Liberator might just be the most famous resident of Valentine. This retired cowboy made news across the nation in 1968 when he decide to run for president. Americus had an interesting platform including wanting to see horses grazing on the White House lawn. I can picture Americus riding a horse in Washington, D.C. Even though Americus never got many votes, he was recognized around the country. He was interviewed by the Boston Globe and the people of the country loved sending Americus mail. He went on to run for president again in 1972, 1976, and 1980. You have to check out the rest of the story from History Nebraska on the Curious Candidacy of Americus Liberator. Oh before I saddle back up ... ok get ready to leave in my Jeep. I need to finish one more thing I learned. A big part of cowboys back in the day was to wear a Bolo tie. A Bolo tie is one that is made up of a piece of cord or braided leather with decorative metal tips and clasp. A great name for a brewery! Really ties back to the history of the area. I know if you make your way to Valentine that you will have a great time. Enjoy this incredible town and all it has to offer. Have a pint or two and raise your glass to Americus! For more information on Bolo Beer Co check out their website. It's a Beautiful Day, the song from U2, for some reason sticks in my mind as I think about the Saturday morning in April that I got to spend brewing. Brian, the brewmaster from 5168 Brewing was doing a collaboration beer with Tim and Dean from Boiler Brewing. As you can tell from the picture above, it was so much fun to get to learn about the brewing process from these two amazing breweries out of Lincoln, Nebraska. I think you are going to enjoy learning a little bit about the process! Great view looking into the brewery. A rainy, cool morning and the Nebraska spring football game was all the buzz in Lincoln. Little did the 90,000 fans know that there was something pretty exciting brewing on the south side of Lincoln at 5168 Brewing. Near 57th and Pine you will find the 5168 Brewery along with a Local, Beer, Patio, and Kitchen and also Hiro 88. Just happens that Charlie owns all of these wonderful establishments. If you are not familiar with the Local, it is one of the premier craft beer establishments in Omaha and Lincoln serving upwards of 50 local Nebraska brews always on tap. What a great place to go try out locally brewed beers! Hiro 88 is one of the best sushi restaurants in Omaha and Lincoln that also has incredible Pan-Asian cuisine. It gets even better, now there are the amazing 5168 beers to pair with the food. A wonderful setup and now more about the Brewtiful Day! Bags of malts ready to be milled. So this was my wife's first trip with me and I was so glad she came to experience what a brew day is like and to grab some great photos. We arrived at 8:00 am and the guys were just getting the malt ready to be milled - all 410 lbs of it. So this being my first time to see the process I hope I captured the key details. Please remember I am a newby as I describe this! So I learned that the first step in the process is to mill the barley malt which is really crushing the grain. The purpose is to expose the starches so that they can later turn into sugars then finally alcohol. There are so many types of malts that used in the different styles of beer. I learned this past winter about the whole process of taking barley and turning into malt which is fascinating. This is a whole story on its own! Malts can be roasted for longer periods of time and that that is how you get you different flavor and colors into the beers. For the lighter ones, you will get some honey, caramel, and sweeter notes. On the other side of the spectrum such as Chocolate malts, you will get more roasty, nutty, and coffee types of flavor. The milled malt now goes into the mash tun. Kind of looks like a big bowl of oatmeal. The milled malt now goes into the mash tun where hot water is added slowly and the mixture is stirred. The mixture, better known as the "wort", is where the starches are broken down into sugars. I learned that water temperature during this phase is quite important. Cooler water temperatures, for example say around 145 degrees, will make crisper, dryer beers. Take that temperature up just 10 degrees and you will have fewer sugars being produced which will give you richer and somewhat sweet beers. The wort stays in the mash tun for about an hour and goes through a process called vorlauf (or recirculation). This step is valuable for preparing the grain bed for sparging which from what I understand is done to get as much of the sugar out of the mash as you possibly can. Vorlauf is also important in helping to clarify the wort. During the brewing process, there is a lot of science being used. For instance, Dean checks on the gravity of the wort to make sure that the level will turn into the ABV (alcohol level) desired for the beer. The pH level is another key item checked. You can think of pH as the acidity level of the mixture. The sweet spot to try to land in is between 5.2 to 5.5. The pH level can affect various characteristics of the beer and ultimately the flavor. Last but not least, checking to make sure there are enough active yeast cells is important for the fermentation process. Tim sets up a sample to be reviewed under the microscope. The same yeast can be harvested and used multiple times as long as there enough active cells. A brewmaster is a very busy person on a brew day. I couldn't believe all of the setup time required just to get started. Lots of cleaning and preparing the equipment. You have to be pretty mechanically inclined to figure out how to get all the connectors and hoses in place for the various pieces of equipment. Now back to the brewing! The filtered, clear wort is entering the brew kettle. What a beautiful sight! What once looked like a big bowl of oatmeal now has had the the sugar liquid extracted and brought over to the brew kettle to begin the boil process. Why is boiling important? I didn't realize that this step is done to first of all sterilize the wort. Later during the fermentation process, the only living microorganism you want to have is the yeast to do its job on the wort. Boiling also extracts the bitterness from the hops to help balance the sweet wort. There are so many types of hops and this is where the brewmaster can be very creative with the flavor that comes from them. Lastly the boil helps bring the remaining malt proteins together so that the can be removed with the hops after the boil has completed. Great Beer, Great Service, Great Space. There are still several more steps in the brewing process before we get to enjoy this awesome, collaboration beer. In another post I will take you through them. This however concludes the Brewtiful Day I had with the Brian, Tim, and Dean. I thank you guys for sharing all of the great information and getting to know more about both of the breweries. For more information on 5168 Brewing, check them out on their website. You will be glad to know that you can have one of their great brews at the taproom in Omaha, any Local, Beer, Patio, and Kitchen and also Hiro 88 restaurants. Matter of fact, I went next door to the Local after brewing and had lunch which included a delicious Hawaiian Porter. It you haven't been to the Boiler Brewing taproom, it is a must. It is incredible to see how they turned an old boiler room into one of the coolest taprooms in all of the state. You will always find an amazing variety of beers there. Brewing small batches with incredible flavors is where their passion lies. I had an incredible Russian Imperial Stout called Monte Grande the last time I was there. For more information on Boiler Brewing check out their website. Reinheitsgebot be Damned! At least a little. We brewed a classic-style German pils. German pilsner and Munich malt for a sweet, bready grain base. Rather than settling for traditional noble style hops we decided anything worth doing is worth overdoing with new world German Mandarina Bavaria hops. Lending a firm yet soft bitterness merging into floral orange blossom and citrus mandarin hop flavors and aromatics. Pouring this beautiful refreshing Grapefruit IPA was fun! I can't think of a better place than Pint Nine Brewing Company to be able to learn what it takes to be a craft beer server! Tammy Hynek, who is the marketing and events coordinator for Pint Nine, was nice enough to offer to spend a couple of hours to run me through a training session. I am not sure Tammy knew how much of a challenge I would be, but we will get to that later! I have always been amazed at how much attention to detail goes into a craft beer from coming up with the recipes to getting a pint into the customer's hands. Having the opportunity to talk with Denny Hynek, who is one of the owners and brewers, and his wife Tammy was amazing! So where to start ... I wanted to know a little bit more about how this young brewery got started. I spoke with Denny and he described how his partner James (Jim) Watson and him met. Jim was working at Empyrean Brewing in Lincoln and Denny was at Upstream Brewing in Omaha. They became good friends and then ended up brewing together at Upstream. These two very creative guys with a passion for making craft beer soon got the itch to have their own brewery. Four years in the making, Pint Nine opened in the summer of 2017. What an immaculate space for brewing beer! Great layout with room to expand. Denny said one of the main challenges was finding the space they needed to be able to grow. Warehouse and strip mall space in the Omaha market over the last few years has been in high demand. After a long search, they found their home on 104th and Portal Road in Papillion. The location has many benefits including lots of potential customers travelling between Papillion and Omaha, great parking, wonderful neighborhoods all around, and another brewery - Kros Strain who is a next door neighbor. Having the two breweries so close together, makes this even more of a destination when going for a night out with friends to enjoy some craft beer. Overall being part of the Exit 442 community with Kros Strain, Nebraska Brewing, Infusion Brewing, Lucky Bucket, and Patriarch Distillery has been great and the events like the Groundhog Day Barrel Aged beer release really helps to get the word out about Pint Nine. In walking through the brewery area, you can tell Jim and Denny put a lot of thought into the space they have. The layout has plenty of space to get to the brewing equipment and room for a canning line some day. I hope soon because the Grapefruit IPA would be a great beer on a warm summer's day while I am out fishing! So many great beers being brewed here that I would get the chance to pour. A full 16.9 glass works great for this Session Red. I wanted to understand all the details I could on what it takes to be a good craft beer server. The first thing I asked Tammy about is how do you determine what glassware to use with each beer? Tammy enlightened me on the process of the key elements of choosing glassware. ABV is important because beers that are on the lower end of the scale can go into larger glasses whereas higher alcohol beers typically will go into a smaller glass like a snifter. A snifter also enhances the aroma of the beer with the wider top. I can completely understand that. For stouts, especially the imperial ones, I now understand why I enjoy them out of a snifter. Tammy went on to say that visual appearance is important also in the selection of the glassware. Take for instance how a tulip glass grabs your eye when you have the color like that of the Pint Nine IPA in it. I don't think it is just a guy thing, but I almost tear up see such a gorgeous beer! So you have the glassware lineup, so the next question I had to ask is how do you keep the glassware clean and ready to go? Tammy took me through the process of cleaning, rinsing, and sanitizing several glasses. I now know how important it is to make sure that every glass is clean and that the final step of a quick rinse before pouring any beer into the glass is essential in order to remove any remaining residue. Keep those kegs coming - it is great to be able to get a Pint Nine beer around town! I had a few more questions before I could feel comfortable going behind the bar. My next question was about optimal beer temperature. Denny took this question saying that for them, 35 - 37 degrees was best for tap flow and flavor of most of their beers. I remember a couple of summers ago making the mistake of not icing down my kegs early enough for a party. I now know that the beer wasn't cold enough because it was a painful first hour pouring foam! Ok, so temperature is important to help eliminate too much foam, what other tips would Tammy have for me? Tammy told me to hold the glass at a 45 degree angle while pouring. That seemed easy enough to remember. So when the next order came in, Tammy told be to go ahead and pour this one. This was getting pretty exciting for me! I wanted to see if I could pour a perfect pint on my first try. A swing and a miss! I stopped the pour too soon when the foam started to build up a little. I just hate to see any beer go to waste. Tammy told me to pour until the glass had just about a half inch of head at the top and the rest filled with beer. Talk about having a saint of an instructor... Tammy had the patience of an elementary teach when dealing with me! After a few more tries, I finally got a great pour. I wanted to get this one to the customer in a hurry, but wait! There is one more step that can't be overlooked. I had to take the squirt bottle and rinse off the side of the glass where some foam ran down. It wouldn't be very professional or nice to hand someone a sticky glass now would it? 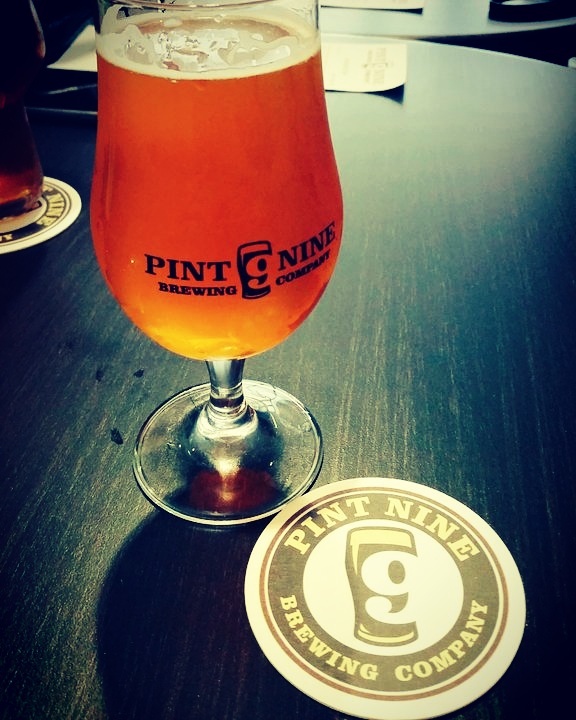 Lot's of nines, but Pint Nine is a 10 in my opinion. Besides just pouring pints, I got to learn also how to fill a crowler. A crowler is a 32 ounce can and there is an awesome machine that you use in order to seal the top of the can. I really love it when a brewery has crowlers. Many times you might want to take one of your favorites and have it later on like when you are barbecuing on the weekend. What an experience! I had so much fun. I hope that I get a chance to do this again if Pint Nine would let me. I am slowing working towards becoming a certified Cicerone Beer Server and still have a lot to learn. Your Nebraska Craft Beer Journey Awaits You! It has been a year since I have started my craft beer journey across our great state of Nebraska. In a year's time, I have met so many incredible people and got to know the stories behind how they got their breweries started. Getting out on the road, I have gained a better appreciation from all of the cool places around our state. For instance, last summer, I spent time on the Loup River in a cabin at Riverview Cabin Retreat. My family had a great time canoeing on the Loup River and visiting Scratchtown Brewing Company. Ord is a great small town and on a warm spring or summer day, Scratchtown's patio is amazing! On a weekend trip last fall, a friend of mine and I got to enjoy the opening of Lost Way Brewery. On that same trip we were able to in at First Street Brewing in Hastings and Thunderhead Brewing in Axtel. In a short drive, three wonderful breweries! Exploring our state can be so much fun! I have plans to check out the Cowboy Trail in Valentine. While I am there, I will be looking forward to stopping in and visiting Bolo Beer Co. These are just a few examples of places our state has to offer. In Omaha and Lincoln, there are events every weekend and I never have a problem sitting down to a good beer and meeting others that enjoy craft beer. It is always fun to hear about the kinds of beer that people enjoy! Nebraska Craft Beer is a community of so many fun, dedicated people who work hard each day so that us craft beer enthusiasts get to enjoy great beer. The Nebraska Craft Brewers Guild is a big part of helping to grow the industry. This year they have started an amazing program called the Nebraska Beer Alliance for craft beer supporters. Membership is effective for one calendar year from date of sign up! For me personally, the $50 membership is a bargain with the discounts the breweries and retail outlets are offering. More important though, the membership encourages me to get out and explore new places around our great state of Nebraska. I know I will enjoy each and every experience with a great craft beer. Please check out this program today! I hope to see you somewhere along your Nebraska Craft Beer journey! Joe loves to meet new people. Cheers! If you are a brewery or retail outlet that would like to find out how you can participate in the program please visit the Contact link on the Nebraska Craft Brewers Guild Site. What could be better on a cold winter's night than some dark beers, chocolate, and Joe. I have to say that I have been at several taproom events over the past year but this is the first one I actually was part of! The event was held at the Thunderhead Brewing Taproom in Omaha. For the event, 125 tickets were sold which included: a flight of 4 beers, the 4 chocolates, a Thunderhead Brewing Pint Glass, and a fill of the beer of your choice in that glass. English Brown Ale that is smooth and nutty with a hint of coffee notes. A Dark American Wheat that is roasty and malty. This beer is super easy drinking and is brewed with malted Nebraska corn. Heavy on the espresso for an amazing bold coffee flavor. This one will wake you up. The espresso comes from the Calico Coffee Company in Kearney, Nebraska. A Whiskey Barrel Aged Imperial Stout. This stout is brewed then aged 12 months in fresh wet whiskey barrels. Rich, complex with noticeable floral and fruity notes. Served on nitrogen. This one is also available in 750 ml bottles. If you would like to contact Adam, here is his business card. Adam Hurt is the chocolatier that provided the amazing chocolates for the event. Adam is currently a pastry chef in Lincoln, Nebraska in addition to making chocolates. So the following are the chocolate pairings with the beers from above. A dark chocolate shell filled with a gorgonzola white chocolate ganache. Paired with Nut Brown Ale. Chocolates by Adam's signature award winning flavor! Based on the classic French dessert, a dark chocolate shell encasing with a white wine and cinnamon pear filling. Paired with Cornstalker Dark Wheat. Obviously a seasonal favorite. White chocolate shell with a creamy eggnog ganache. Paired with Calico Espresso Stout. A white chocolate shell, filled with a spicy dark chocolate ganache and cocoa nibs. This was the table I had. So cool to have a barrel in the picture! I had a great time at the event. It is always fun to meet new people and also acquaintances that you never knew enjoyed craft beer! With this event, my son came up with a great idea for an ice breaker. I was able to go around to each table and visit with everyone individually. After asking questions about a person's Drinking Style, Type of Beer, and Social Tendencies, I would then guess the kind of beer they liked the best. I would say I was right about 70% of the time. Each table had a fun beer story as to whether it was a favorite beer of theirs or a place that they had visited. There were also a lot of people new to craft beer. So we chatted about what they liked about the dark beers they got to try on this cold winter's night. Oh yes before I forget, I met a very nice young couple and I hope the pictures I took outside with the snow coming down that night turned out ok! Thanks to all who came out! Cheers! I decided to break down my top 2 local to Nebraska and top 2 across the United States. From the two top picks that I chose, one has been around for several years and the other is a newcomer. 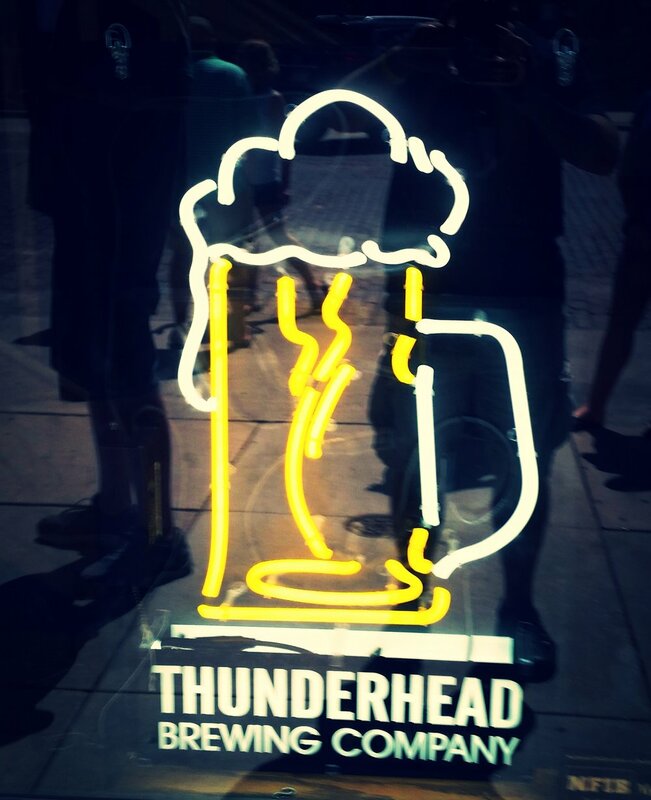 The Thunderhead Calico Espresso Stout was the first World Beer Cup Gold Medal winner for Thunderhead brewing. This is not a seasonal beer for me, matter of fact it is my go to when I visit the Thunderhead Brewing taproom in Omaha, Nebraska. The espresso flavor is top notch. A true coffee lover's beer! The newcomer in the field of Coffee Stouts was a home run for Lazy Horse Brewing. The Canyon Coffee Breakfast Stout had the strongest coffee aroma out of any of the stouts I had in 2017. The other unique part of this one is the creamy head and finish. I was completed stunned when Jim Stutzman, owner and head brewer from Lazy Horse Brewing, told me it wasn't a milk stout. I am anxious to see how this one will rate in competitions! I have to say, I have so many more Coffee Stouts to try out in 2018. Please keep the suggestions coming and I won't turn down any that might appear at my doorstep. Bell's Brewery Arabicadabra is a fine milk stout in its own right. Add a great robust blend of Nicaraguan and Sumatra coffee beans to this stout and it becomes something really special. This was one I told many close friends about and they got the same smiling face that I got after the first sip. Epic Brewing Company Son of a Baptist is brewing masterpiece. The attention to detail for the coffee selected for this beer is top notch! 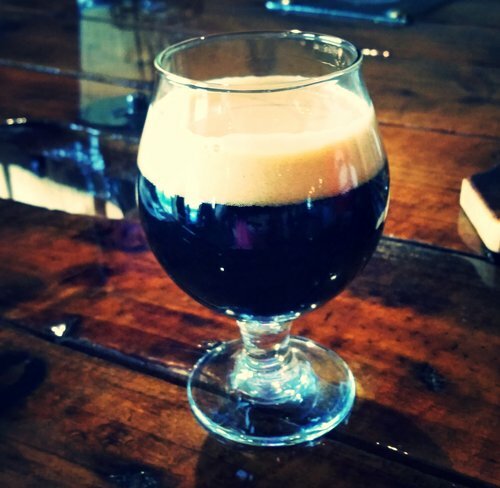 The silky stout and hint of chocolate round out a coffee stout that is hard to forget. An excellent recommendation from a coworker who I thank for introducing me to this beer. There you have it for the 2017 Coffee Stouts. I would love to get your opinion and suggestions on others. Please add a comment or send me the information through the Contact section of the site. Three words I have longed to hear for years, "In Today's Lineup". You might think I am talking about being part of a professional sports lineup, no I am talking about something much bigger. I made the bottling lineup at Kros Strain Brewing! For a storyteller and craft beer enthusiast, this is a dream come true. Having the opportunity to be part of the line that gets beer out to the public is so cool! I will take you through my experience of a being a first time bottler in one of the most impressive bottling lines I have ever seen. Upon arrival at Kros Strain, the brewers Bobby Kros and Scott Strain were busy getting the bottling equipment all setup and ready. Scott's mom Twila greeted the group of helpers and showed us the first thing that needed to be accomplished which was putting the case boxes together. Next was to put the six pack containers together and put them in each case box.Twila had already been very busy that morning as there were several pallets stacked with the boxes. Now onto our next assignment! The first beer to be bottled on this fine day was the Dark Paradise. This amber ale is not your typical amber. It is going to give you a little extra flavor with some chocolate and coffee notes. The label spools have been threaded into place. The ones shown here come in spools of about 1,000 labels. The first critical person on the line is the one taking the bottles from the pallet and getting them into place so that they can go through and get a label put on them. Just a side note the designs used on the Kros Strain beer labels are incredible don't you think! Once the bottles have been labeled they are now ready to be filled. I don't know if there are any "Gold Rush" fans out there, but for those that have watched the show, you have an appreciation of what the wash plant is capable of doing. You also quickly learn how much care it takes to keep it running. The same goes for the bottling equipment. I watched that day as Scott Strain adjusted and monitored how the machine was performing. I would have never thought that a brewer would need to be so knowledgeable in the bottling equipment! The machine can run into a few issues here and there. For example, a bottle cap got stuck. It definitely takes some decent mechanic skills to be able to fix things on the fly an get the machine back up in running. Through the dryer and down the conveyor belt comes the finished bottles waiting to be packaged. Also in the background you can see bottle caps that are taken up to a collection point to be used by the capping equipment. So here comes part that I got to do which was taking the bottles from the conveyor belt and putting them into the boxes. When working with Twila bottling, she said that the bottling can be a lot like an episode of "I Love Lucy". In that episode, if you substitute chocolate for beer that is what it feels like sometimes on the line as the bottles are coming at you rather quickly. You really have to be on your toes and be able to get a good rhythm going. Twila provided a great tip on grabbing 4 bottles at one time. That definitely seemed to be the most efficient way to do it. As quickly as the boxes were filled, they were taken, taped up, and put onto the pallet. Just think in about a minute, you can box up 3 cases of beer! It is amazing how fast a pallet can fill up! I can definitely say it was a good workout keeping up with the pace that bottles come at you. That day we bottled 277 cases. For people who enjoy numbers that is 6,648 bottles and 79,776 ounces of beer. You truly get a great appreciation for the amount of work that goes into each craft beer that you get to enjoy. Bobby Kros and Scott Strain work very hard at producing a quality product. This begins in the formulation of the recipes of each of the types of beers they produce and continue all of the way to point of consumption. The quality definitely shows in all of the beers. I am so impressed with all of the different IPAs and hop variations being used at Kros Strain. You know that Bobby and Scott have spent many hours getting the beers just the way they want them. Take for instance the Fairy Nectar IPA. In a short period of time, it has become a huge favorite of craft beer drinkers in Nebraska. This IPA has great aroma and hop flavor without any hop bitterness. I have been to the taproom more than once with friends who claim they don't like "hoppy" beers. After I have them try a Fairy Nectar, they are so impressed with the flavor and how easy drinking it is. It is really fun getting to see people expand their craft beer horizons! Sorry went on a tangent but it is easy to when you are talking about such great brews. Throughout the day I was able to see a well planned out brewery down to the smallest details. You can tell a big investment was made in the brewery equipment including the quality testing equipment. The picture below shows a piece of equipment that is a combined oxygen and CO2 meter. It is used to make sure the right level of oxygen and carbonation are going into the bottles. Without this testing, you could have batches that might turn out to be flat or go off like a geyser. Yes I have had a couple of experiences where over carbonated beer has shot out of the bottle! The day ended with a celebrity visiting the brewery. Cousin Eddy from National Lampoon's Christmas Vacation stopped in to help finish up the packaging and cleanup. Okay, so it really wasn't Cousin Eddy it was Scott's dad Tom. This was an awesome picture from the Christmas party the weekend before. It is great to see how much fun the Kros and Strain families have in helping out at the brewery! When you hear the word "Community" what comes to mind? I first think about the small town of Manley, Nebraska where I grew up. For the longest time living in a small community to me was about helping each other out. As a young boy, I enjoyed helping out the older folks in town by mowing their yards or painting their houses. I also remember coming together for such events as cleaning up the town each spring. It felt good to be part of something! As an adult, I have a lot of those same feelings wanting to get together with others who have a passion for the same things I do. Being a technology guy, I enjoy the opportunity to get to go to conferences to meet people and learn more about what they are doing. There is always something I can take back to the office and apply what I have learned. Picture with my friend Jeff from a road trip to Scratchtown this spring. This is my first year getting to spend a good amount of time out in the Nebraska Craft Beer community. I have had a blast getting to meet so many people that have welcomed and provided me with the chance to tell their story. Everyone in this community have been so nice! I have great respect for their passion and desire to help each other out. I never knew before starting my blog of all of the relationships that exist in this community between the brewers, hops producers, and other local ingredient producers. I have to admit, I get excited when I hear about local hops, honey, or popcorn being used in beers. Popcorn you say? Popcorn Daze from Scratchtown is a great example of how communities in Nebraska support one another. I really wasn't aware of just how far Nebraska has come in terms of growing hops until I met Bruce and Annette Wiles from Midwest Hop Producers and Katie Kreuser who is the Nebraska Extension Hop Program Coordinator from UNL this summer at the Great Nebraska Beer Fest. I think it is fantastic to see local hops being grown! I know that there has a been a huge investment in money, time, and research to get this up an off the ground. The fact that people in our state are helping to address the need for hops is amazing! The craft beer explosion has had a big impact on the demand for hops. In 2009, there were roughly 1,500 craft beer breweries around the United States. Now there are well over 5,000 craft beer breweries. If you add to these numbers, the fact that IPA style beers have risen in popularity, the demand is higher than ever for hops! Photo from Tweet from Tom Wilmouth Co-founder of Zipline Brewing. In the picture are Katie Kreuser Nebraska Extension Hop Program Coordinator and Marcus Powers Co-founder of Zipline Brewing. Nebraska is blessed to have a couple of great organizations providing support for the community. 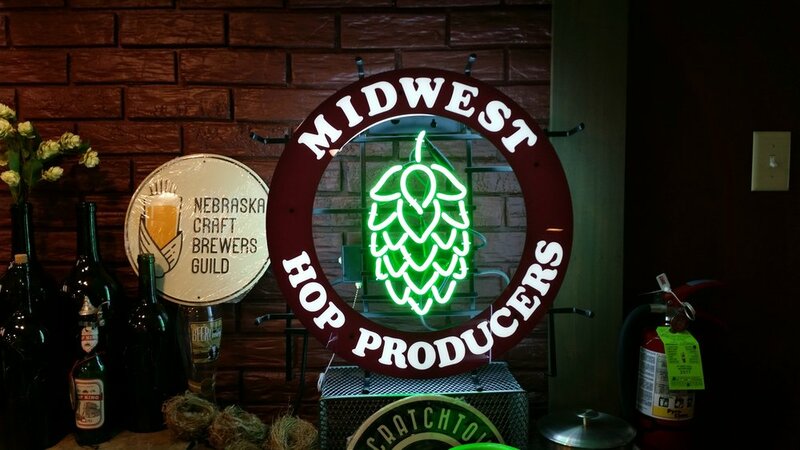 They are the Nebraska Hop Growers Association and the Nebraska Craft Brewers Guild. Together with the Nebraska Institute of Agriculture and Natural Resources (IANR) and Midwest Hop Producers are putting on the Second Annual Nebraska Grower and Brewer Conference & Trade Show. The conference will take place on Thursday, January 18th and Friday, January 19th, 2018. This conference is a great opportunity for learning and networking. One other key highlight of the conference for many attendees is getting to participate in panel discussions. Let's take a closer look at some of the topics to be presented. There are two tracks for the conference - brewer and grower. The brewer track this year has tons of amazing sessions that cover the topic areas listed below. This is just a sample of some of the sessions for each topic area. Crafting Your Beer Brand: Good Design is Good Business, Drew Davies, Owner & Designer, Oxide Design Co.
Midwest Hop Producers - from a visit this summer to their hop yard. The grower track this year has an incredible mix of sessions that cover topic areas listed below along with a sample of some of the sessions for each. When asked what are you looking forward to the most for the 2018 conference, here were some of the responses. Katie Kreuser - UNL. I’m approaching this conference a little differently this year, as I’m behind the scenes planning it. While I hope to learn more about what challenges are being faced by each aspect of the industry and how I can help to address those through my work, I’m also hoping to establish more connections with our growers. Our hop growers are spread out over the state of Nebraska, and visiting each farm hasn’t been quite feasible. I also look forward to some great talks to help me expand my knowledge so that I can do my job better and help continue the growth of hop production in the state. Gabby Ayala - Nebraska Craft Brewers Guild. This will be my first Grower and Brewer Conference and I'm just excited for all the awesome networking opportunities and idea sharing that will be happening. The idea of having so many passionate Nebraska growers and brewers together in one space is very exciting! We'll have lots of industry experts coming in from all over the nation as well and that will be a great opportunity for our Nebraska brewers. It'll be great not only for the brewers attending, but also for those coming to present from out of state. The presenters will get to see how passionate, creative and innovative Nebraska brewers truly are! Dustin Rutledge - Homestead Hops, Perfect Pour Magazine. It’s always a benefit for people from various parts of the industry to be in one place. We are looking forward to hearing from presenters and discussion panels that are experts in their fields, being able to talk to and learn from other growers and brewers, as well as enjoying the Omaha area. Brian Podwinski - Blue Blood Brewing Company. I think the best part of the conference is two fold. First, there are new topics to learn about and gain experience from others. Second, getting brewers and growers together in the same room to meet, plan, and grow together! Ryan Heine - 6th Meridian Hops. Its hard to quantify the 'most'... Obviously we are really excited to be a part of the growers panel and that our neighbors, Soil Works, will be there and presenting on the organic nutrition program that they are developing on our farm. Although, there are two tracks, I will spend my time split between them as we love brewing and attending some brewer tracks help us understand our customers better. I'm excited to talk to David Peitz about Wayne State's new fermentation program and hear about the latest developments at UNL in brewing, hops, and malts. And of course, I want to catch up with many of the other growers and brewers as well as meet the new ones! Steve Bauman - Bauman's Hop Farm. Even though I been growing hops for ten years, I know I will end up learning something new and useful for me. I enjoy seeing old acquaintances an meeting new ones. Jacob Robison - Dirty Dog Hopyard. The agenda is really outstanding and looking forward to both days, but as a grower I am really interested in talking with brewers about what varieties they like to use, what they are experimenting with and what they see on the horizon so we (all Nebraska Hop Growers) can meet their needs. This is a great opportunity to come get to learn and be part of the Growers and Brewers community of Nebraska. Whether you are currently grow hops or are thinking about it, you won't find a better place to get the information you need. Want a forum to ask the questions you have been dying to ask, then this is the conference for you! From a brewer's perspective, the knowledge sharing and networking over so many topics that impact your business every day is going to be fantastic! Both growers and brewers having the chance to guide the future of the Nebraska Craft Beer community, it doesn't get any better than that! 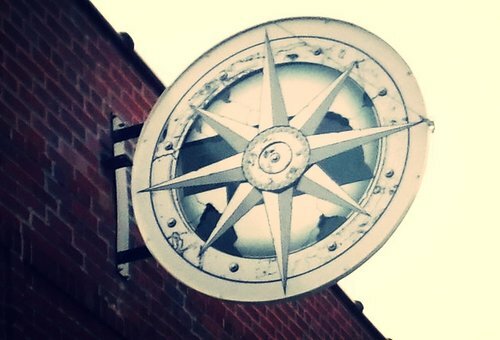 Lost Way Brewery sign has great significance. In the words of Mark Kraus "We were all lost, wandering the world before coming here, the compass is broken now, because we don't plan on going anywhere. This is home"
Whether you believe in fate or not, it seems that in life there is a greater force guiding us to be where should be. I am not saying that each of us personally don't work hard at making our own destiny, but there is that moment when the stars align and everything seems right in the universe. For two couples, never in their wildest dreams would they have ever thought that they would end up being the owners of a craft beer brewery in Holdrege, Nebraska. Jason and Kimberly (Kim) Hines grew up in Michigan. Kim in Clarkston and Jason in Bay City. Even though the cities are about 2 hours apart, friends of theirs brought them together during their college years. Mark and Jessica Kraus met while Mark was in the Marines and stationed in Camp Pendleton. When Mark was back from his second deployment, it was time for recruiting duty back in Michigan. Mark told me, "My Battery Gunnery Sergeant had told me in Afghanistan if I didn't ask Jessica to marry me I wasn't very smart and you always listen to your senior enlisted as a young officer." Mark is a smart man and followed through on the advice he was given! Oh and before I forget, Kim is Mark's sister. Kind of important information don't you think? So the couples have met, but we still have more stars to fall into place. I think one of the hardest things in life is finding a career that you can truly be passionate about and of course make a living at. It is difficult coming out of high school knowing what you truly want to be. Each of us has strengths that help guide us to what we are good at. For example, Jessica has great communication and marketing skills. Talking with Jessica you can see how energized she gets with meeting with the customers in the brewery. Also Jessica has a great eye for design. She has done a wonderful job with the beer glasses, t-shirts, and other logo products. The logo looks great on the beer glasses! I am not the only one that thinks this because hundreds of the glasses have already been procured by people in the community. Kim has a degree in Accounting. As we chatted that evening, it was evident that Kim really understands the business side and making sure everything is setup for the opening. From the Point-of-Sale (POS) system to all the financials, Kim has it covered. Oh and the last thing I learned about Kim is her love of Quick Books! Jason's passion lies in creating things that are of exceptional quality. When talking with Jason, I can understand how he got into engineering. You can also see this in the brewing system that was chosen from Colorado Brewing Systems. A well thought out system indeed! Even though I didn't get to spend a lot of time with Mark, you can tell his leadership and vision are some of his strengths. Also I hear that maybe he has a beer glass collection that could challenge mine! Mark just between you and me, our wives are looking for ways to reduce our stash. We need to keep a close watch. Four people with strengths that complement each other. Each working jobs that utilized those strengths well before ever thinking about opening a brewery. Let's continue on! I really love the saying "The is no such thing as failure, only learning". In 2012, Mark decided that it might be fun to get into wine making. Mark quickly learned that this wasn't something for him. The store where Mark bought his wine making products also had craft beer kits. Mark tried a couple of extract kits and quickly became interested in home brewing. It wouldn't be long before he would have his good friend Jason joining him in this hobby. Michigan is a great state for craft beer, so I can understand how Mark and Jason got into brewing by enjoying beers from such places as Bells, Shorts Brewing, and Founders. In 2014, Jason got an opportunity to come work as a Quality Engineer at BD in Holdrege. Jason and Kim fell in love with the small Nebraska community and the lifestyle it provided. Mark and Jessica were still in Southern California but wanting to make a move. Mark applied for and was offered a job as an assistant brewer at Bell's Brewery in Michigan. So things were happening for both couples but not exactly getting them together. Then prior to having to make a decision about Bell's, Kim and Jason let Mark know about an opportunity at BD in Holdrege. Mark and Jessica believed it was a better fit for starting a family, so they were on their way to Nebraska. The community now was truly beginning to feel like their new home. Good friends brewing good beer and having a great time. Mark and Jason expanded their craft beer brewing hobby well beyond kits at this point. They had purchased some equipment and had a nice home brewing setup in which they could come up with recipes to experiment with. In the back of their minds, the desire to have a craft beer brewery was there. It wasn't until Mark and Jessica saw a building for sale downtown that really raised the possibility of owning a craft beer brewery. Jessica pushed Mark to call and eventually he did look at the building. Not the one they ended up with, but it got the ball rolling. That night, Mark and Jessica approached Kim and Jason about the idea. The couples stayed up a good chunk of the night in their basement drinking home brew and brainstorming. Wow this is getting so exciting! The decision was made to open a brewery but where and how do we come up with financing? A whirlwind of activity ensued in order to make Lost Way Brewery a reality. Phelps County Development Corporation was a big help in getting leads on buildings and gap-financing. Great Western Bank helped facilitate the rest of the financing needs. It is great to see how a small community came together to be so instrumental in getting the project off the ground! Finding a building in the rustic downtown area was top priority. The old brick streets and buildings in the area have great appeal. The former Sunglow Dairy building at 614 Third Ave had 4,000 sq feet of space which would work well for a brewery. Jason told me that the other thing that was appealing about the building was no basement and that it had all cement and tile floors. This helps in terms of the logistics of the brewing equipment. So while the building overall had good bones, it needed a lot of work in order to turn it into a place that you could brew beer and have a taproom. Lots of sweat equity went into the building along with help from DTC out of Kearney who was the contractor for the renovation. Things moved quickly as the building was purchased in February of this year. DTC began the renovation in June and completed in a matter of months. The transformation of the building is incredible! The taproom is very comfortable. Definitely a place where you can go have a great conversation over a couple of pints. The windows grab your attention right away as drive by and then walk up to the building. Inside the building, you will see a lot of its original charm. The rustic wood and stainless steal bar is very cool. There are pictures from when the building was a dairy and a print shop that provide a glimpse of the history of the area which I also enjoy. The Nebraska shaped flight holders are made by Mark's dad. You can tell the couples had a lot of fun naming these. I don't want to spoil the fun, so you need to stop in find out for yourself! I enjoyed all of the beers. Such great variety that will guarantee there is something for everyone! When Stars Align, good things happen to good people. Lost Way Brewery is a great example of this. Jessica, Kim, Mark, and Jason here's to many great years of success. Cheers! For more information see the Lost Way website or Facebook. My trip to the Pacific Northwest was for the Nebraska vs Oregon football game, not just searching out craft beer breweries to visit. The trip had us in Seattle for 2 days before the game, so I knew I could find a few good places to try! I have to thank my family, especially my wife for spending time searching out the places I will be talking about. I only scratched the surface when it comes to Seattle breweries. I am sure you could spend a week or more visiting all of the wonderful breweries! The day we arrived in Seattle, there was ash in the air from all of the local wild fires. After walking around Pike Place Market, my son and I discovered the Old Stove Brewing Co taproom which had a nice view of Elliot Bay. On that particular afternoon, the ash really limited the visibility of the bay. Never having any of the Old Stove beers before, it seemed like a good idea to grab of flight of 4 beers to try. I choose 3 IPAs and their amber ale called Amber Waves. All of the them were really good. My favorite one was the Piston Hondo DIPA. This beer has great citrus aroma and flavor. The caramel malt smooths out this 87 IBU IPA. As you can see from the picture, this beer is a beauty and the flight glass is also pretty cool! I would recommend stopping in here especially if you are looking for a relaxing place where you can enjoy the fresh air and the incredible view of the bay. I almost never found Cloudburst Brewing. Google Maps had me going in circles. My wife thought I was completely crazy. I asked a couple of local people and they got us closer to the taproom. What should have been a 5 minute walk from our hotel took us nearly 30 minutes to find the taproom. Cloudburst has an interesting atmosphere. The opening into the brewery is a garage door. You walk into a narrow passageway of tables that leads you to the place you can order your beer. As you are doing so, you can also see the beer being brewed which is awesome! No flights which is a bummer for someone that is from out of town like me. Pike Space Needle - Golden IPA. Unique golden India Pale Ale with assertive hop character and floral notes; brewed with four varieties of aroma and flavoring hops from the Yakima Valley. Pike Hive Five - Honey Ale. A delicious collaboration brew from Pike made with superb honey from Salish Lodge & Spa's apiary. A biscuity golden ale hopped with Yakima Valley Hops. Pike Harlot's Harvest - Spiced Pumpkin Ale. Big, bold, voluptuous; burst of caramel & molasses with a smooth sweetness and the boldness of a monastic style double ale. My favorite was the Pike Harlot's Harvest. This Pumpkin Ale has so much flavor! I really loved the generous amount of spice in this ale. Some Pumpkin beers come up flat on taste, not this one! Oh so you are wondering what happened with @kellyfromtexas... We tweeted back and forth all afternoon. I looked up from across the bar and there Kelly was with Michael. When I realized it was them, I jumped up from my bar stool and headed over. We quickly introduced ourselves as my wife came up thinking we had known each other for years. It was so much fun getting to meet Kelly! This was the first time I ever met a Twitter friend in another city. National Beer Lover's Day was a great way to meet a new friend! I really enjoyed my couple of days in Seattle. Great sight seeing, seafood, and craft beer. If you make it out to Seattle, I hope you get a chance to check out these Pike Place Market breweries. The word resurrect has so many meanings that apply to what Vis Major is accomplishing. Revive, restore, regenerate, revitalize, breathe new life into, bring back to life, reinvigorate, rejuvenate, stimulate, reestablish ... It is an amazing story of what the owners Tom and Lindsey Clements have been doing. Even though it is slightly north of what is considered to be South Omaha by many, Vis Major is resurrecting the brewery industry that has a long history in South O. I would like to take you back in time to get a sense of how essential the beer industry was to the growth of the community. Jetter Brewing Company was created in 1887. Balthas Jetter was a German immigrant who came to Omaha wanting to brew beer for the thirsty packing house workers. He initially partnered with an man named Mr. Young. The Jetter and Young Brewery was then soon built at 30th & "Y" street. By 1890, Jetter bought out his partner was producing 10,000 barrels of beer each year. From my understanding one barrel is approximately 31 gallons of beer, so we are talking about 310,000 gallons of beer. The packing industry was booming and so were the Jetter brews including their flagship named "Gold Top" which later was renamed to "Old Age". By 1902 production increased to 30,000 barrels and continued to grow all the way to 100,000 barrels before Prohibition began. August 10th, 1933 was the date when it became legal to produce beer again in Nebraska. Even though Balthas Jetter had passed away, the brewery under new ownership was poised to become the largest in the region. Jetter Brewing Company had a relaunch party and tasting at Krug Park in late August of 1933. Things were looking up but only for a short time as the "Great Depression" would be the demise of this brewery. Please take the time to read the complete story from the link above highlighted in blue. I think you will find something in it that you can relate to. For me it is the fact the brewery was 10 blocks west of where my grandparent's house use to be. My grandfather worked at Wilson's in the meat packing industry for many years so I can relate to how important the breweries were to this industry and the community. Photo from the Omaha World Herald. The Krug Brewing Company June 22, 1920 From Wikipedia: The Fred Krug Brewery was located at 2435 Deer Park Boulevard in Omaha, Nebraska. Founded in 1859, Krug Brewery was the first brewery in the city. Krug was one of the "Big 4" brewers located in Omaha, which also included the Storz, Willow Springs and Metz breweries. Later sold to Falstaff in 1936, the facility closed in 1987. Please read the complete story in the link - "Cheers for Beers"
There are more great stories about the "Big 4" breweries of South Omaha including Krug Brewing, Storz, Willow Springs, and Metz. One of the best ones I found in the archives is from the Omaha World Herald - Cheers for Beers! This article is so intriguing. So some of us will remember the name Falstaff from our parents or grandparents. Falstaff purchased Krug Brewing and continued to brew beer until the mid to late 1980's. A rich culture of community, food, and beer had come to an end. It wouldn't be for another 30 years until someone would breathe new life into the beer brewing tradition of South Omaha. That someone is the Clements and Vis Major on 35th and Center is the place where it is all happening. Sometimes it takes a light to show you the way to what you are destined to be. For Lindsey and Tom, owning a brewery was never part of their master plan. Tom, an aircraft mechanic, and Lindsey who has a background in sales and marketing met each other while Tom was a personal trainer at a gym. The two hit it off and quickly found out that the shared a passion for craft beer. The couple moved to Chicago where Tom would work at O'hare Airport and Lindsey in the interior design industry. Chicago has many craft breweries and bars to explore the various varieties of beer. Lindsey told me how trying different styles of beer really broadened her palate. Tom in the meantime had a coworker convince him to give home brewing a try. The first kit he go to brew was an IPA. A starting point for great things to follow! Big cities like Chicago can be great until when the economy goes bad. Lindsey described to me the period of time where things become pretty stressful for her and Tom in Chicago. For starters, Lindsey was downsized out of her new position. Needing to find work in order to make apartment payments had Lindsey jumping between a couple of jobs including being a waitress and selling memberships for at gym. As a young married couple, you work hard together to get your life started. When things don't go as expected, you look to your heart to find where your passions lie. A rejuvenated Lindsey now was back looking for the right opportunity. An initial introduction to Arbella Distributing from Omaha didn't yield a job for Lindsey but proved to be a great contact. Soon Ryan Penke, owner of Arbella would have Lindsey on his staff. Lindsey described for me that this opportunity was a key step in learning about the craft beer industry and what it takes to be a brewery. Zipline Brewing was the first local craft beer brewery that Arbella distributed for. It is amazing to learn about all of the relationships in the craft beer industry in Nebraska. I think there is no other state where the breweries work together so well and welcome new ones. For Lindsey, being involved in the craft beer industry continued to ignite the passion of wanting to be a bigger part of it. So it wasn't long before Lindsey and Tom announced, "We are going to open a brewery". These were the words of the Clements back in 2014 to some of their closest friends. Now that the goal was out there, it was time to make it happen! Lindsey said that a whirlwind of activity soon followed that decision. There was still so much to learn to be able to run a brewery. The recipes were there and the confidence that they could produce great beer but how do you get started? Lindsey said she remembers being at the Nebraska Beer Fest in 2014 where Caleb Pollard of Scratchtown Brewing was giving a talk about what it takes from going from a home brewer to having a brewery. Lindsey and Tom then asked if they could tour the Scratchtown brewery to learn more. Mike Klimek, who is the head brewer, walked through the process of getting the brewery up and running. Lindsey remembers a key thing that Mike said to them ... "It takes creativity to realize a dream.". Other people in the craft beer community were there also to provide advice to the Clements including Bill Baburek who is the owner of Infusion Brewing Co and the Crescent Moon bar. There are so many things to starting a business. Creating your business plan can be such a daunting task. Lindsey said going into the process her and Tom knew they wanted to be a neighborhood craft beer brewery. The desire was to produce enough beer for the taproom. This was important especially when it came to financing and finding a location. The search for the location included sites on Park Avenue, 13th Street, 25th and Farnam before finding the right spot at 35th and Center. This location use to be Clanton Grocery from 1913 until the 1980s. Back when the building was sold in 1989, it was going to be frame shop but that never happened. The building stood idle until the Clements decided to bring it back to life. Old buildings have so much character but can have many challenges bring them up to current building code. The ceiling had these amazing tiles but had to be taken down due to the fire code. Lindsey and Tom were able to keep some and put them on the wall so that the legacy of Clanton Grocery could live on. There were many other challenges, but in the end Lindsey has designed a peaceful sanctuary where you can get away from the hustle and bustle of modern life. The one thing I notice when I am there is how people are enjoying one another's company without the distraction of loud music or televisions. There are so many stories of craft beer breweries reviving neighborhoods and communities. Take for example Benson, which has seen tremendous growth after the opening of the Benson Brewery, Infusion, and the many bars serving craft beer. Another good example is what Prairie Pride and Kinkaider Brewing taprooms have done for the downtown area of Grand Island. Tom and Lindsey are doing just that for the Hanscom Park and Field Club neighborhoods. While revitalizing a community is important, the Clements priority was to make sure that the immediate neighbors would know that Vis Major was a family friendly place not a loud nightclub that would take away from the piece and quiet of the area. So I had to ask Lindsey what this whole experience of starting a craft beer brewery has really been like. She told me it is kind of like becoming a parent for the first time where you imagine all of the beautiful moments like rocking the baby, the baby's first smile, etc. The reality is you tend to be up all night at times getting things ready for the next day, tending to ills of the brewing system, and wondering what you have gotten yourself into! Lot's of hard work to goes into each batch of beer. Brewing 3 to 4 times a week on the 4 barrel system keeps you very busy. Then testing each batch making sure the beer has enough time to finish before being kegged. All of this work in order to open your doors to the community for the first time. But you are not done yet. You still have the final touches, getting staff hired, and so many other tasks before pouring that first beer. I asked Lindsey what her approach was to all of this and she had a great response. "How do you eat an elephant? One bite at a time." If you look at the process as a whole, it can be overwhelming but if you break it down to smaller pieces (tasks) it becomes very achievable! 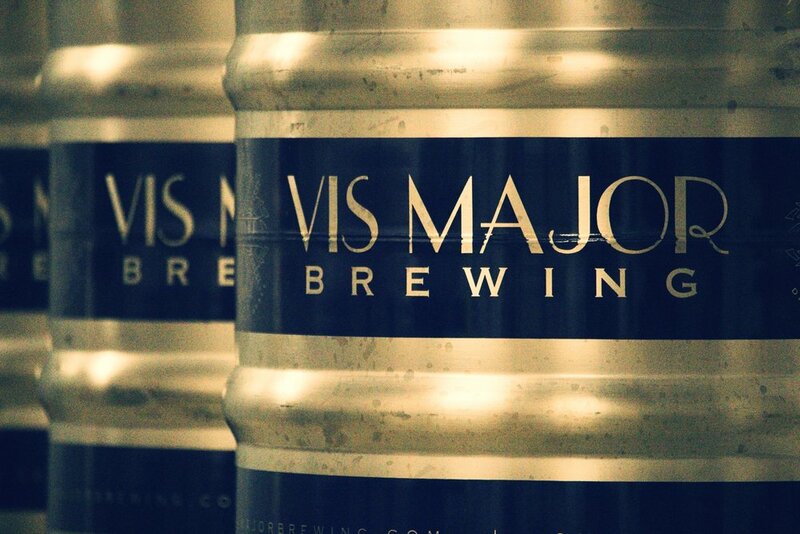 A beautiful logo embraces the glassware and growlers at Vis Major. Remarkable color and flavor in every beer... On the left is the Elixir Citra and the right Thicket and Thorns. All of the research, studying of the brewing process, and dreaming up some amazing recipes paid off for Tom and Lindsey. Vis Major has a great rotation of 11 beers always on tap from Blonde Ales to Stouts. If you like IPAs then you will find some of the best around in the Elixir Citra - Single Hop IPA, If This Be Treason - New England Style IPA, The Guardian - Centennial Hop IPA and others. The Saisons are incredible also including the Thicket and Thorns Raspberry Saison. As the season changes, so do the beers. For example the Wayfare Jack - Pumpkin Pecan Ale will be coming out soon. I love the fact I can come to Vis Major and there will something new on tap to tantalize my taste buds! Each beer has amazing flavor and wonderful color as seen in the picture to the left. I don't think this is by chance, I believe all of the years of researching craft beer can be seen in each of the Vis Major awesome brews! In the end everything came together for Tom and Lindsey. I remember the grand opening day. I was first in line (I know that is probably not a shocker...) and got to chat with everyone else. There was great excitement in the air. I sat down at the bar and enjoyed a flight and so did many others. I believe on the opening weekend there were almost 400 of these served. A well deserved opening for all of the hard work the Clements have put into Vis Major. The journey can sometimes be a long and hard road to travel. I think for Lindsey and Tom they are were they want to be and the community loves them for that! Oh the name.... Many of you already know that Vis Major translates to "An Act of God". There are a couple of versions of how the name came to be. If you get a chance ask Tom about this and mention World of Warcraft and see if you get a smile! I truly believe Tom and Lindsey are resurrecting the brewing industry in an area of Omaha that has had so much history. If my grandfather was still alive today, I know he would enjoy Vis Major. I can imagine sitting at a table listening to his stories of the days when he was a meat packer over a brew or two. "Drink Good Beer with Good Friends" is happening each and every day at Vis Major. Stop in grab a flight or a pint and enjoy a great conservation with an old or new friend. Tell Lindsey and Tom, Joe says "Hi". The other day I was talking with some friends and we started to discuss some of the crazy town names that you might have never heard of in Nebraska. I few of my favorites are "Surprise" named in 1881 by George Miller who built a gristmill on the Big Blue River. He was pleasantly surprised to discover that so much water power was available so close to the river's headwaters, and this led him to name the mill "Surprise". "Friend" was named for Charles E. Friend, who homesteaded the land and initially named the community Friendville. He operated a dry goods store and post office. In 1873, the Burlington and Missouri River Railroad named its new train station there - Friend. Last but not least and one of the most unique names of a town in Nebraska - Ohiowa. A majority of the early settlers being natives of the states of Ohio and Iowa which caused the name to be selected. The name of the village is unusual in that it contains the complete names of two states. All city name information provided by Wikipedia. Making a drive out to Ohiowa wasn't by chance. A few weeks back, I had met Jim and Julie Stutzman at a "Meet the Brewer" event at the Local Beer, Patio, and Kitchen in Millard. The event was such a great time! With over 30 craft beer enthusiasts, Jim had a captive audience waiting to hear all about Lazy Horse and the beers we were about to sample. Jim took us through each of the beers explaining the the type of beer and asking the everyone for the flavor they were getting out each of the brews. The Rebel Horse IPA and Milk Stout left quite the impression, so I knew I had to make it out to the brewery and winery to see all of the good things being created there! My destination on a fine Saturday afternoon wasn't Ohiowa itself, but just a few miles outside of the town. I had my sights set on Lazy Horse Brewing and Winery. From Omaha, the drive was only about an hour and a half. As we got off of the interstate, the highways led us past Ohiowa and onto a country road leading up to the beautiful property. As you drive in you see horses, grapevines, and the tasting room. The country charm is everywhere and a relaxing feeling overcomes you as you pull up the drive and open your car door. The tasting room is amazing! As I opened the door and walked in, there were so many things that caught my eye including the windmill on the wooden wall. For me, I felt like I was at back home when I was growing up in the small town of Manley, NE that is a farming community and also at one time had a very large cattle feedlot. Jim told me that the windmill came from a friend's ranch near Hyannis, NE. A great display of the charm and history of the rural communities of Nebraska. Whether you are a cowboy on a ranch or a banker from the city, you will feel that this is the place for you. You can tell a lot of thought and hard work went into creating the tasting room. The warmth you feel from the wall where the windmill is hung is from hours of hard work breaking down pallets. The wood from pallets that no longer were being used could easily have been tossed away. That never happened because Jim and Julie have great vision in turning raw materials into great things. That is why you see things like huge wire spools turned into tables. On the other side of the wall is an incredible patio. The view from the patio is so relaxing as you see the grapevines, prairie, and crops growing across the countryside. One thing I noticed that Saturday, is that the group of people that I was with wasn't the only one taking in the atmosphere of Lazy Horse. Everyone there was having a great time talking, relaxing, and enjoying the wine and craft beer. Jim is one of the nicest guys you could ever meet. Getting to have a conversation with him over some of his wonderful brews was incredible! We talked about how Jim got into the wine and beer making business. Jim started out his career as a rancher. Jim did this for about 16 years before him and Julie decided to try something different. They came up with the idea of growing grapes to sell with the possibility of making wine. Jim then decided to take some fermenter classes in Wamego, KS. As the grape plants matured and Jim finished his classes, the beginnings of a winery started to take shape. One thing you have to appreciate about the wines made at Lazy Horse is that they are made with 100% Nebraska grown grapes! I don't know much about wine, but Lazy Horse has a great selection of white wines including: Brianna (sweet), Sweet Edelweiss (sweet), Trail Buds - (sweet white blend), Summer Girl (semi-sweet white blend), and Stoney's Blend (semi-dry). For red wines, they have a Frontenac which is a semi-dry wine. So now I was really curious how the craft beer came into play. Jim said that he noticed when some of the guys would come into the tasting room that they were not sipping the wine but shooting it. This observation led Jim to believe he needed other choices. Adding craft beer would give everyone something they could enjoy when they came out to visit. So Jim started to learn how to brew beer. Patriot Homebrew Supply in Elkhorn, NE helped Jim get started along with some of Nebraska's finest home brewers. The goal for the first year of brewing was just to produce enough to have in the tasting room. Jim was able to produce 35 kegs of beer thinking that would get him through the summer. Within 3 weeks there were only 5 kegs left. Wow that is a great testament to the beer Jim is producing! Well that quickly changed the game and got Jim back in brewing more beer to keep up with the demand. News travels quickly and places like the Local Beer, Patio, and Kitchen started the line of places that wanted to be able to provide Lazy Horse beers from their taps. I completely understand the demand for the Lazy Horse brews. Though being honest, I was surprised that a winery was producing such incredible beer! Beer with so many wonderful flavors - that is one thing I never get tired of with craft beer. Lazy Horse brews are top notch and each one has an outstanding flavor profile. For example, at the "Meet the Brewer" event, I had several people around me say they weren't IPA fans. After tasting all of the beers in the flight, the favorite of many turned out to be the Rebel Horse IPA. This imperial IPA has rich flavor and a smooth finish not a bitter bite which you would expect from an IPA with over 100 IBUs! Each beer I tried that Saturday in the tasting room was amazing! So Jim gave us a sneak peek of the Octoberfest coming out soon pictured below. The beautiful copper color and perfect head grab your attention right away. The malt complex used in this beer is wonderful - so much flavor and just a great beer for the fall. Speaking all great things about the fall like campfires and s'mores. The beauty below pictured next to the Octoberfest will put our taste buds into a frenzy! The combination of graham cracker and vanilla in this Porter is so delicious. I told Jim that this is a beer I could enjoy throughout the fall and winter. Jim, I don't beg often, but please keep making more of this one! One of the other things you will notice when you visit Lazy Horse is how friendly everyone is. From the moment we walked into the tasting room until the time we left, we were treated as though we were the only customers there. When we first arrived, Jim was tending to business, so Kim who as been at Lazy Horse since it had opened gave us a tour of the brewing operation. Kim did a wonderful job answering our questions about the facility, beers being made, etc. She showed us the canning operation and the cool designs of the Lazy Horse labels. As the afternoon progressed, hunger started to set in a bit. At the tasting room there are several food choices on the menu. I had my youngest son with me who is a little bit of a pizza connoisseur (ok he eats a lot of pizza) and said we had to try one of the them. In the tasting room, the wood fire pizza oven is definitely an attention grabber. While we were there, I would say almost everyone was getting a pizza. So we got the Chicken Alfredo pizza and it was the best pizza I can remember having in a long time. So pizza and beer, what more could you ask for.... Maybe a couple of cabins so I could stay the whole weekend - just a thought. With the afternoon winding down, it was time to grab a crowler and a six-pack and head back to Omaha. Always good to plan in advance to have a designated driver if making a road trip. It was a great day and I recommend that you get out to visit them soon. It really was no surprise how great their craft beer is and I truly enjoyed the hospitality! So sometimes it might be a unique name of a town that peaks our interest of checking out an area - but believe me there is a whole lot more just outside Ohiowa, NE. Don't wait, plan your trip soon so that you too can experience all that Lazy Horse Brewing and Winery has to offer. I got a chance to sit down and chat with Aaron Bush, who is the head brewer at Infusion Brewing Company in Omaha, Nebraska. It was a late Friday afternoon and probably the hottest day so far this summer. Aaron came out from the brewing area, sweat covered, but a big smile one his face. As we shook hands, I knew this was going to be an interesting next hour or so. My curiosity quickly got the best of me, so I had to ask Aaron how his brewing journey began. Aaron started out home brewing around 17 years ago. The very first beer he selected to brew was a Pilsner. With high expectations, Aaron anxiously awaited opening that first bottle to get a taste of what he had created. "It was terrible" said Aaron, "I remember telling my wife that I had put the rest of the bottles in a garbage bag". I can completely relate to this, because this was exactly my first but only experience brewing beer. Aaron then continued on with the story that he couldn't bring himself to getting rid of the first batch. Then one day his wife told him it was time to either drink the beer or dump it into the garbage. Aaron decided to put a couple of bottles into the fridge and try them out later that day while grilling. "Time" said Aaron. I asked him as to what he meant by that. Aaron continued on, "Time was all the beer needed to finish." Aaron then went on to say how this first experience taught him how important patience is in brewing. Some of the steps especially during brewing days happen quickly with lots of action on those days. But the key to a great beer is in the final steps of the process and allowing it the time it needs before pouring into a glass and enjoying that first sip. "Was there one specific type of beer that you wanted to focus on? ", I asked. Aaron explained that for him, it wasn't about taking one recipe and tweaking it for months, it was more about exploring all kinds of beers. This made complete sense to me especially in your early brewing years when you want to delve into all of the possibilities. Also what better way to learn than to try different things. I followed up that question with "What was your most important thing that you wanted to get out of each batch?" I found the answer to be very intriguing. Aaron discussed how he wanted there to be a specific characteristic that people would taste and remember in the beer. I have to say that is probably the main reason why I like craft beer so much. I can remember having my very first pint of the Dominican Brown Ale from Infusion. There was chocolate, coffee, cinnamon, and coconut notes that make this beer so special to me. A special taste that brings me back for more! So many questions started coming into my head that I wanted to explore with Aaron. My next one was, "How did you learn to make all of the different styles of beer?" Aaron told me it was a lot of research time. Books were a good starting point. Hours of listening to craft beer podcasts by some of the greats like James Spencer - Basic Brewing Radio helped also. Spending time in the home brew supply stores provide a place to ask questions about different hops, malts, etc. "What about the internet? ", I asked. Aaron with a smile on his face said "You can't believe everything you read on the internet". Aaron then went on to say that the internet did help with finding some places where he could purchase malts, hops, etc. for brewing that he couldn't find locally. But in the end, practice is what makes the most difference. "Just keep brewing" said Aaron. So from home brewer to brewing for Infusion had to be a big step. I was very curious to get Aaron's take on this. Aaron explained that for him, he now knew that every step of the process had to be repeatable. With a lot of great experience from home brewing, it was time to take that knowledge and see what it could be at a larger scale. Aaron then went on to say that right away he noticed that good beers even got better due to making sure that each step of the process was being done the same way. I started to think that this had to be a part of why Infusion has become so successful. I needed to learn more! I love the names and the stories behind them such as Joel Porter. This beer was named for the metal craftsman who did everything around the bars including the handrails and taps at the brewery. He is the wizard of stainless steel! Joel even created a 5 liter steel keg mail box for the Benson location. Pulley Man Pale Ale named after Doug Deshazer. Doug was instrumental in the construction work to turn Olsen's Meat Market into the Infusion Brewery and tap room in Benson. Doug has an amazing collection of barn pulleys. Doug has captured the history of pulleys in a museum in Crofton, Nebraska. Check out this great article written by the Omaha World Herald. Dean's Red Sled was named after Dean Dobmeier who was a brewer from Jobber's Canyon. Dean gave the recipe of the Winter Red Ale to Infusion. Dean has been more than a great friend to Infusion, he has also been an instrumental mentor on how to run a brewery. Camaraderie Blood Orange IPA was named after the collaboration with Odell Brewing Company in Fort Collins, Colorado. This IPA is part of an annual trio of IPAs that also includes a Red IPA and the South Pacific Pineapple IPA. Some great names I know I will never forget! So I remember visiting Infusion in Benson in 2015 for the first time as part of a tour for Omaha Beer Week. There was a lot of buzz about the popularity of the beer. "So Aaron what was the main catalyst for the explosion of Infusion beers in bars and restaurants in Nebraska?" Aaron said "Believe it or not it was a small batch of Anything Goes Blonde with some Madagascar Bourbon Vanilla Beans in it". This beer is what all of us now have come to know as Vanilla Bean Blonde. I told Aaron I think I understand the attraction of this beer. For many who are use to light beers, Vanilla Bean Blonde gives them a chance to try a craft beer similar in color. Once they enjoy a pint of the wonderful flavor, they can throw out their light beers. Aaron then went on to say that 12 Infusion tap handles in Omaha quickly grew into 400 over the state of Nebraska. Wow that is insane growth! Quickly Infusion outgrew the brewing capacity of the Benson location and opened a second location in Southwest Omaha. The second location is in a warehouse (as seen in the picture above) with room to build out the needed capacity to try to keep up with the demand for their brews. I really love the fact that Infusion over the years has done several different things to promote new brew ideas. The Ice Box Series was a favorite of mine to get to try some new beers in small batches. Danger Stout came out recently as a small bottled batch that was crazy popular. Last but not least is the Summer Bean Fest where not 1 but 8 different Vanilla Bean beers are available for a day. I told Aaron I thought it was really cool to get to see, hear about, and taste the creations from Infusion. Time was running short so the last question for Aaron was, "So what has it meant for you to be a part of Infusion from its inception?" Aaron replied, "It meant a lot to be part of something from the very start. It is like being on a construction crew starting at the ground floor and building a skyscraper." Aaron went on to describe that he gets to use his passion of brewing beer and learning everyday. Aaron then said "Infusion has been a great place to be at because of the people. Everyone works hard to deliver quality beers in a very fast paced time of the craft beer industry. As a group we get to spend time together to come of with new and exciting ideas for that next beer." I can say that I personally enjoy getting to meet everyone that works at the brewery. I volunteered for the Summer Bean Fest and you get to see first hand how much work and effort goes into an event like that. But this is work that is going on behind the scenes each and everyday that as consumers we don't get to see. I now have a better sense of a day in the life of a brewer. I also now understand even more why the beers at Infusion are top notch! Aaron, "Is there anything else you would like to add?" Aaron's smiled and said "I am a lucky man most of all because I have a wife who understands." What a great way to wrap up our conversation! Find some time and stop in Infusion at their Benson or Southwest Omaha location. I know you will enjoy the people there as well as a pint or two of some of the best craft beer in the Midwest!